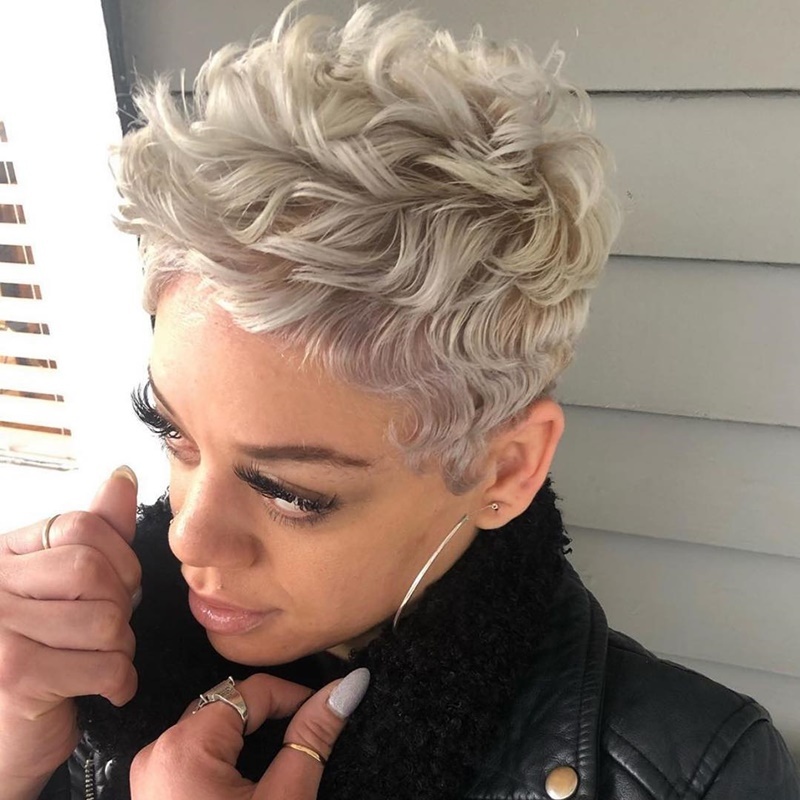 Short hair is like the perfect accessory that helps bring your entire look together. 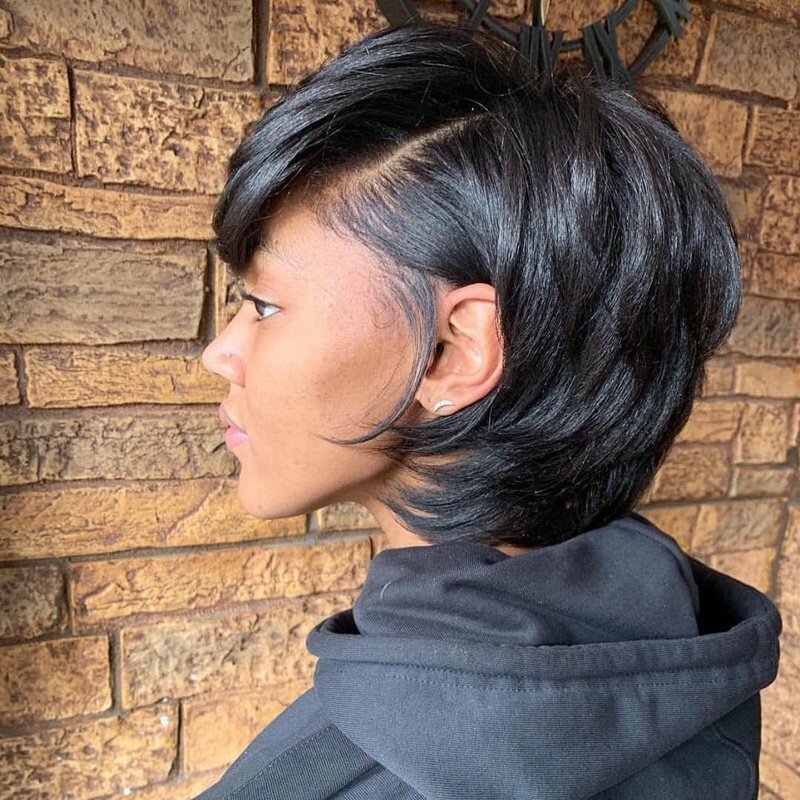 The look can be simple and chic or textured and funky, whatever short hairstyle you may go for it will surely get you noticed. 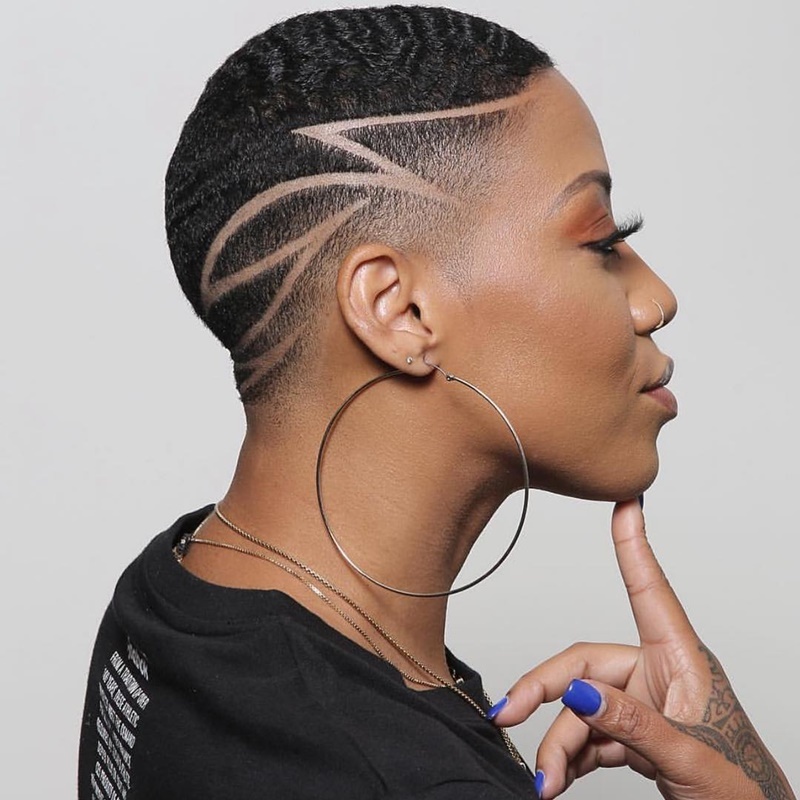 We did some digging and found 45 of the best short hairstyles for black women that were shared on Instagram this month, maybe some of them you can get a little inspiration from and try them out for yourself. 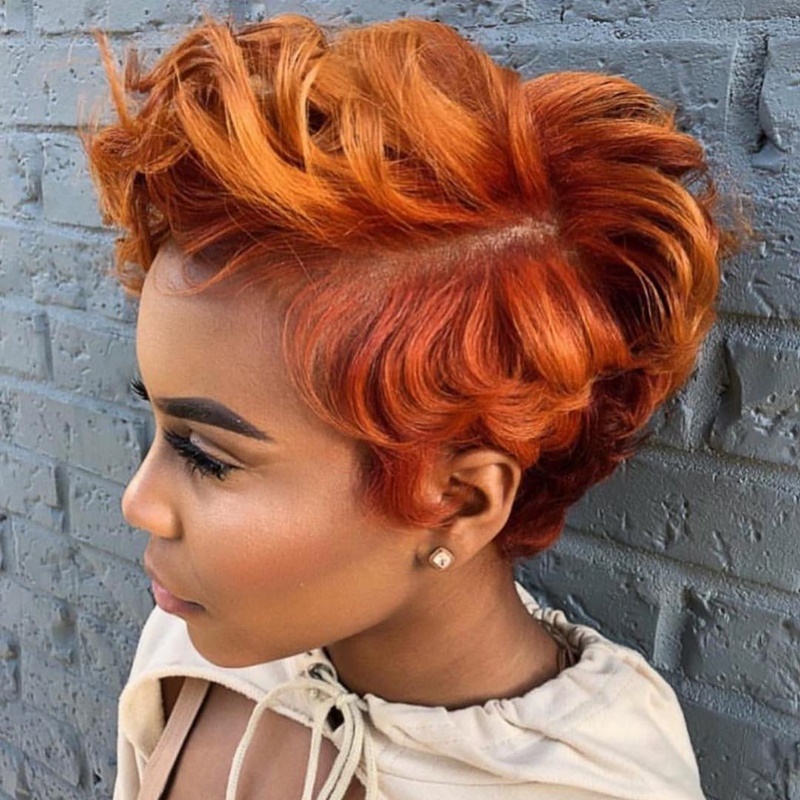 Here are our favorite short hairstyles shared via @TheCutLife on Instagram. 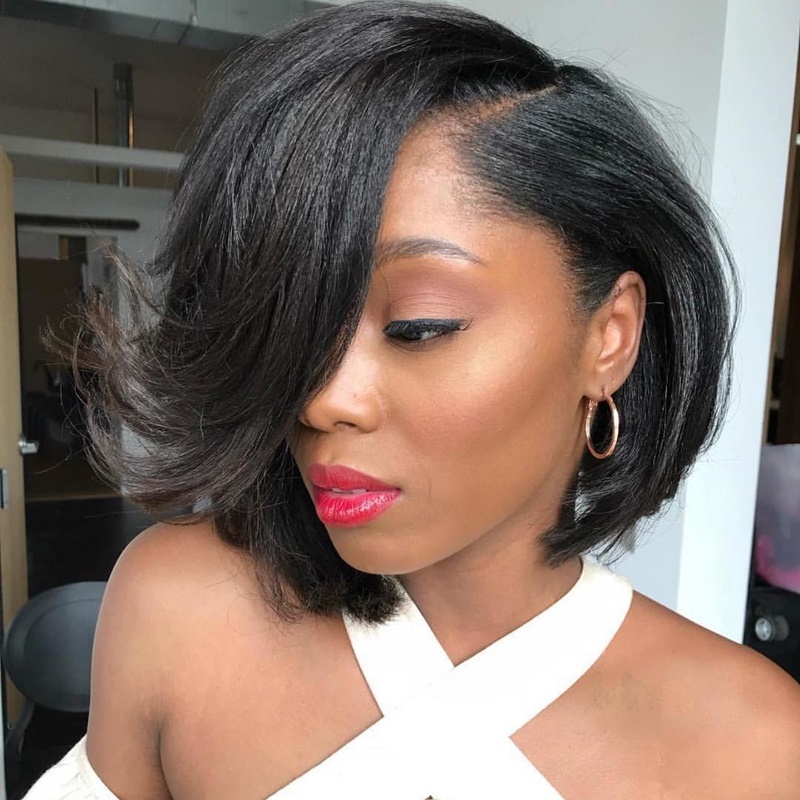 With the added side part, this textured bob is gorgeous and full of volume. 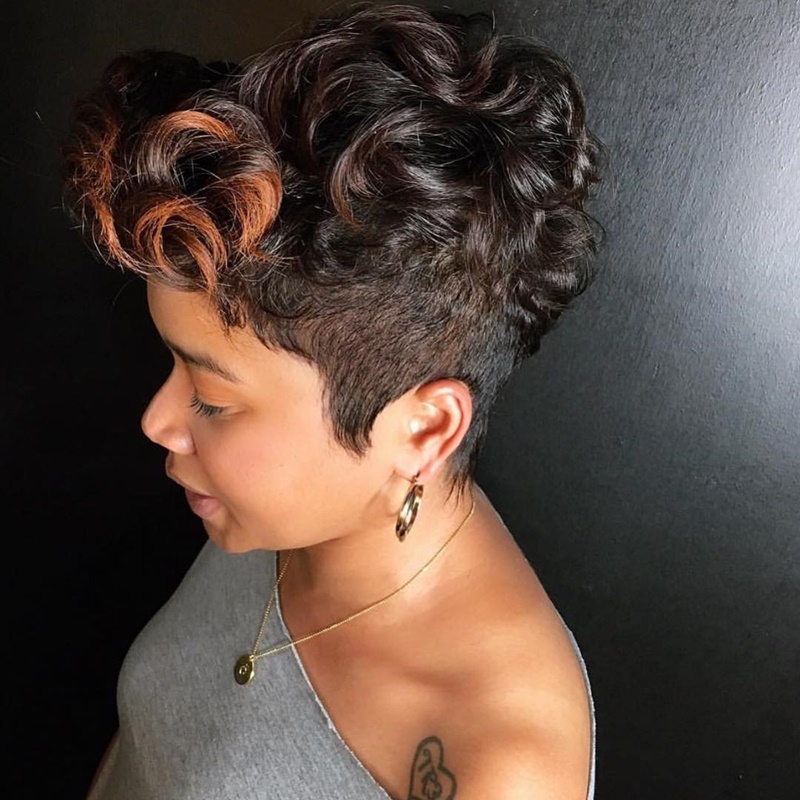 Keep it long on the top, add a little curl, and this pixie will be screaming style. 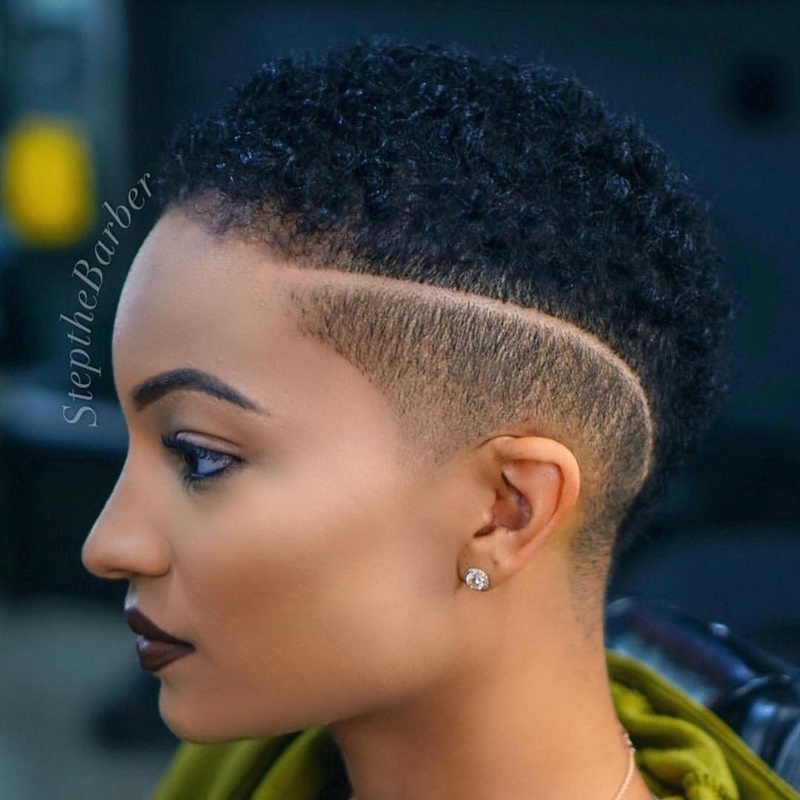 If you’re looking for style and drama, go with something similar to this gorgeous mohawk. 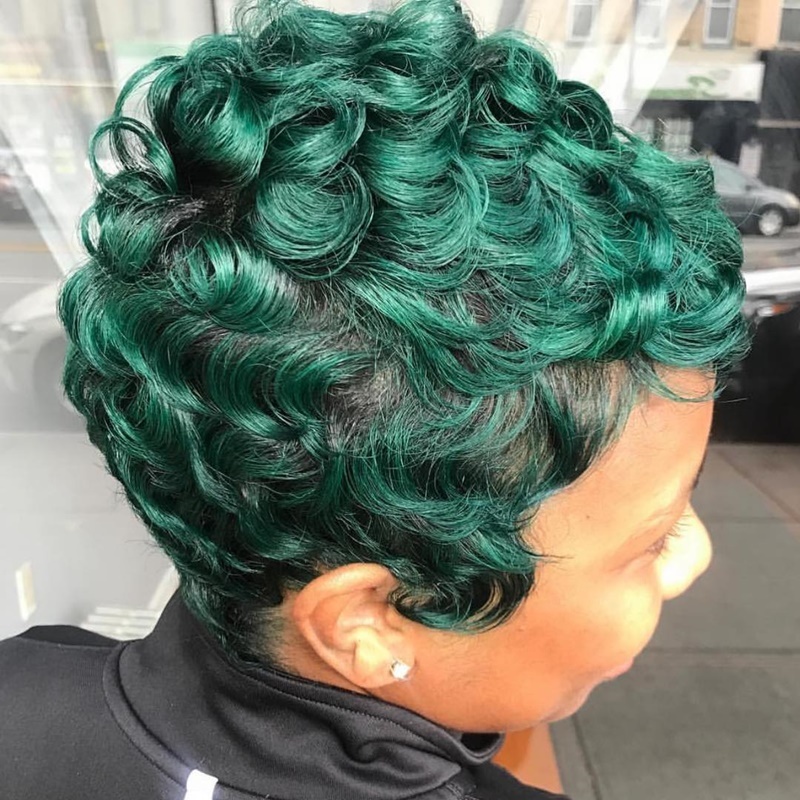 It has the color, drama, and cut your hair is longing for. 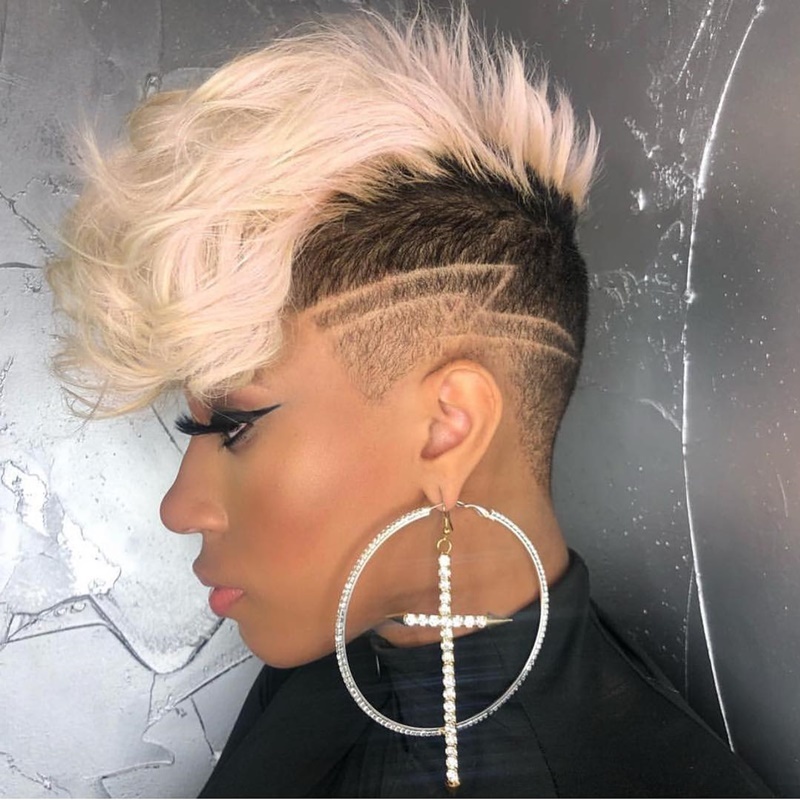 An undercut is a great way to show off your own personal style but keep some of your hair longer. 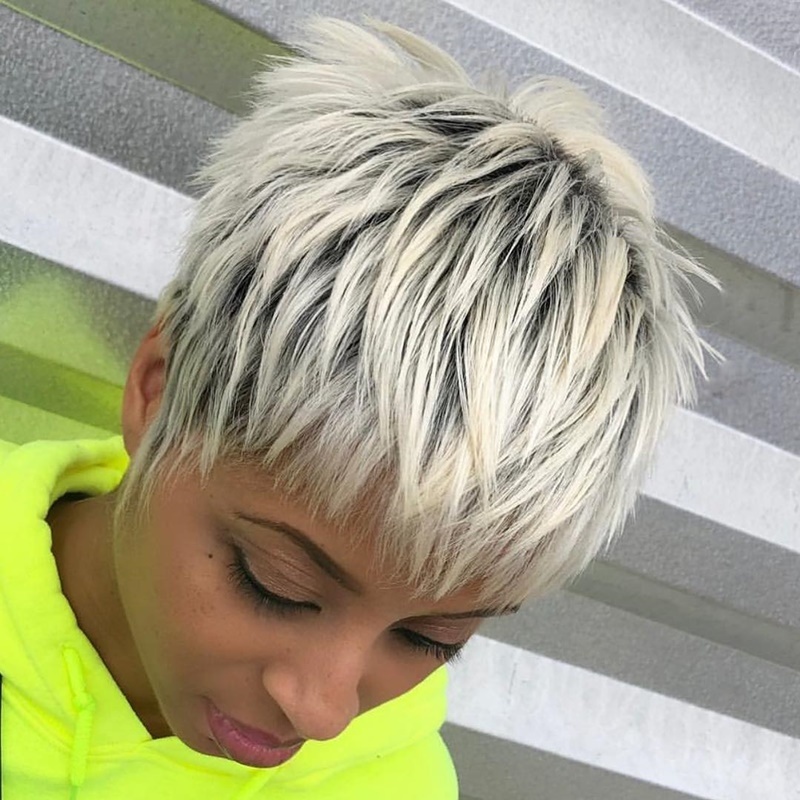 You don’t have to have a lot of drama to your hair to get a cut pixie, add a cool design and you’re set. 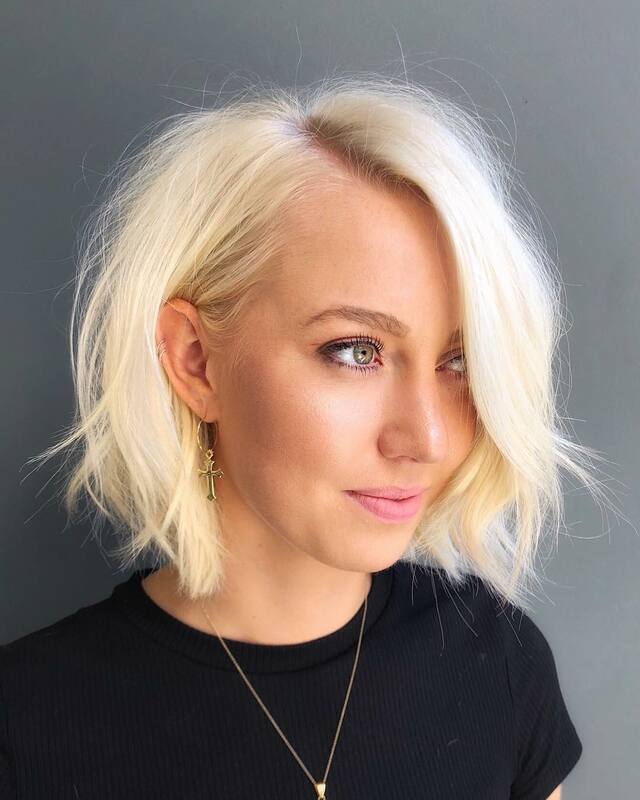 If you want your hair a little longer then this sleek lob is right up your alley. 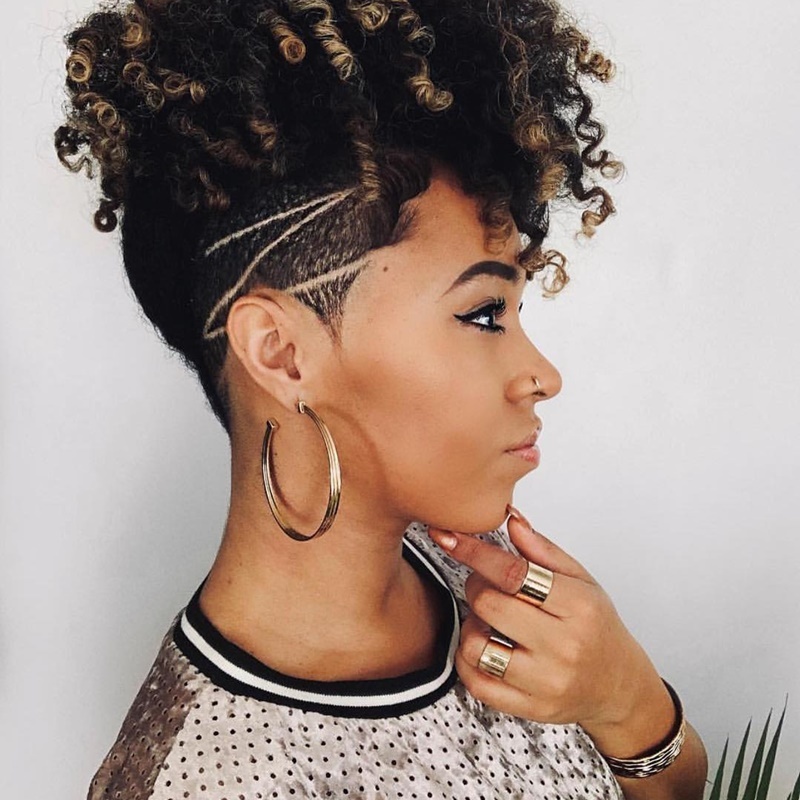 Embrace your curls and add a nice shaved design to your hair to get an amazing look! 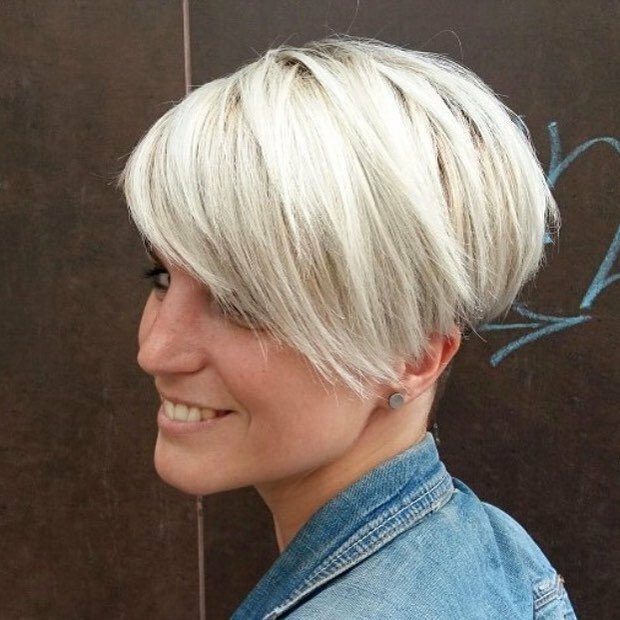 Keep your pixie long, add some color and layers, and you’ll be looking great all day long. 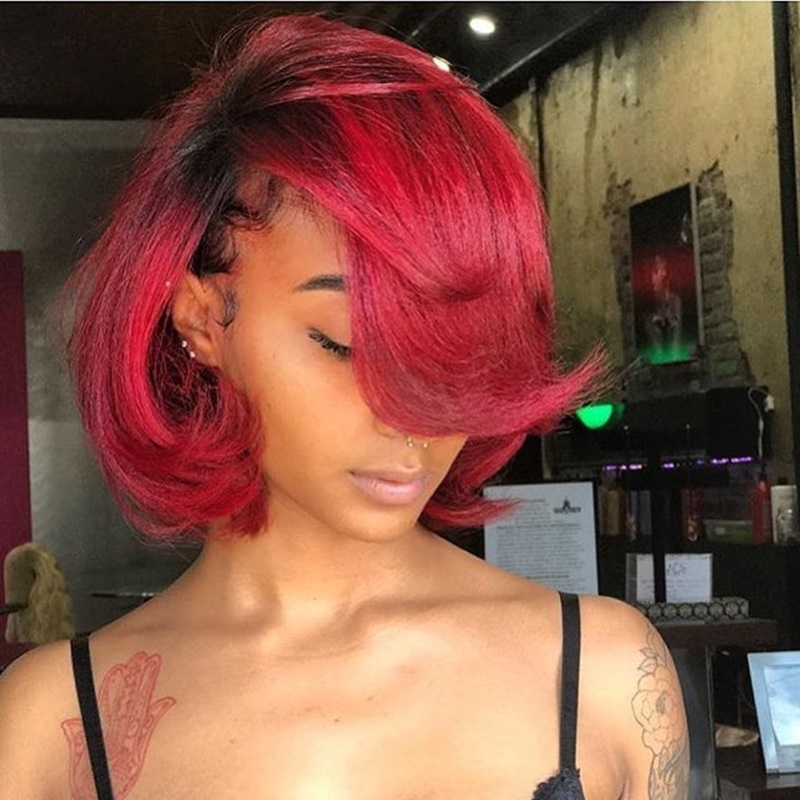 If you like your hair short but want to change it up, why not try a fun color like this gorgeous red. It may take a while to achieve but once you obtain the waves you’ll never look back. 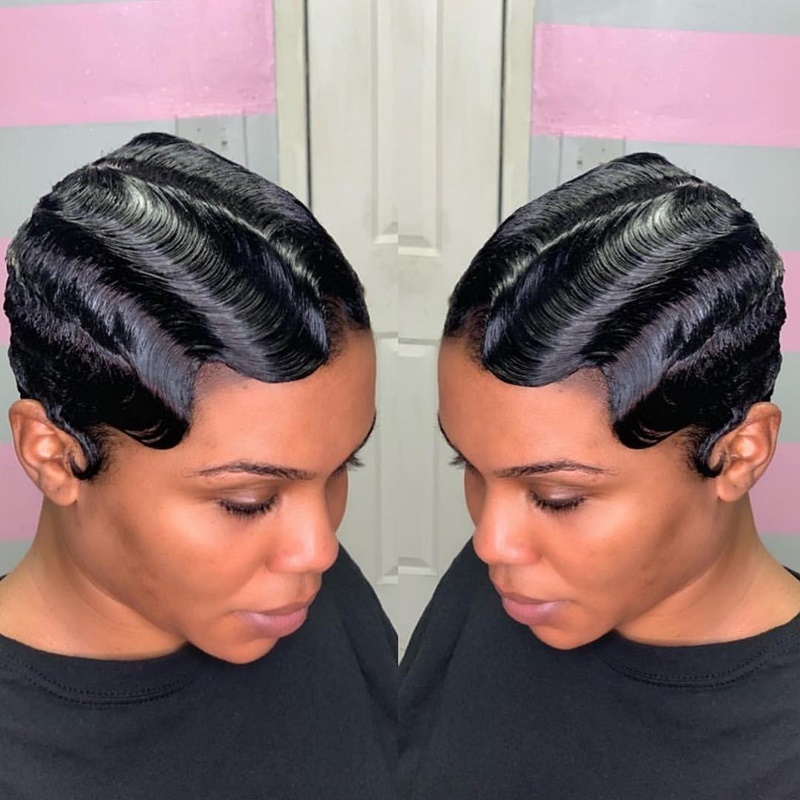 Keep your sides super short and your top long. 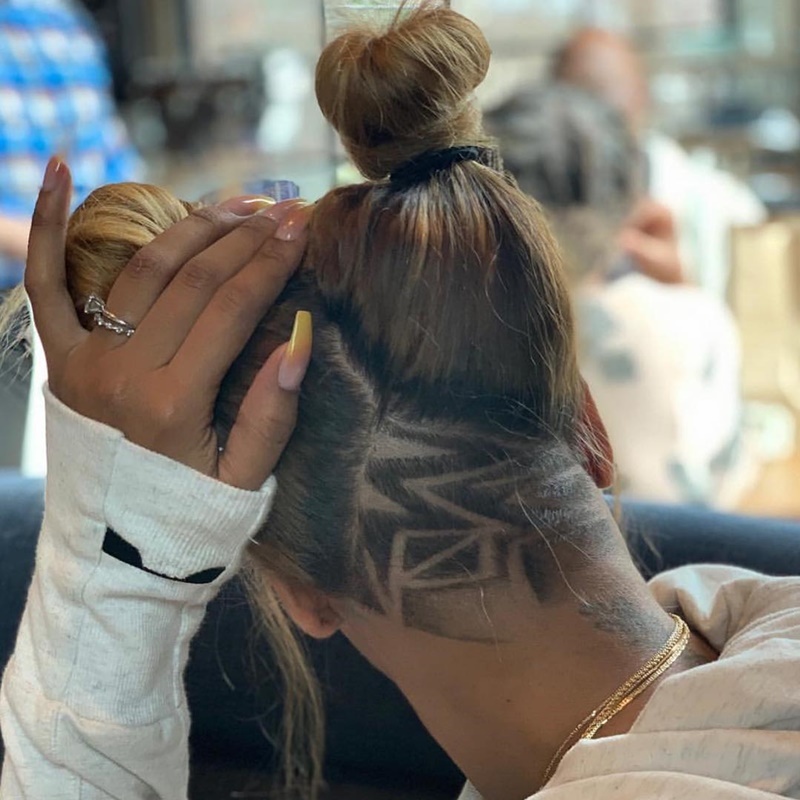 Add a fun shave design to the mix to add a little more drama. 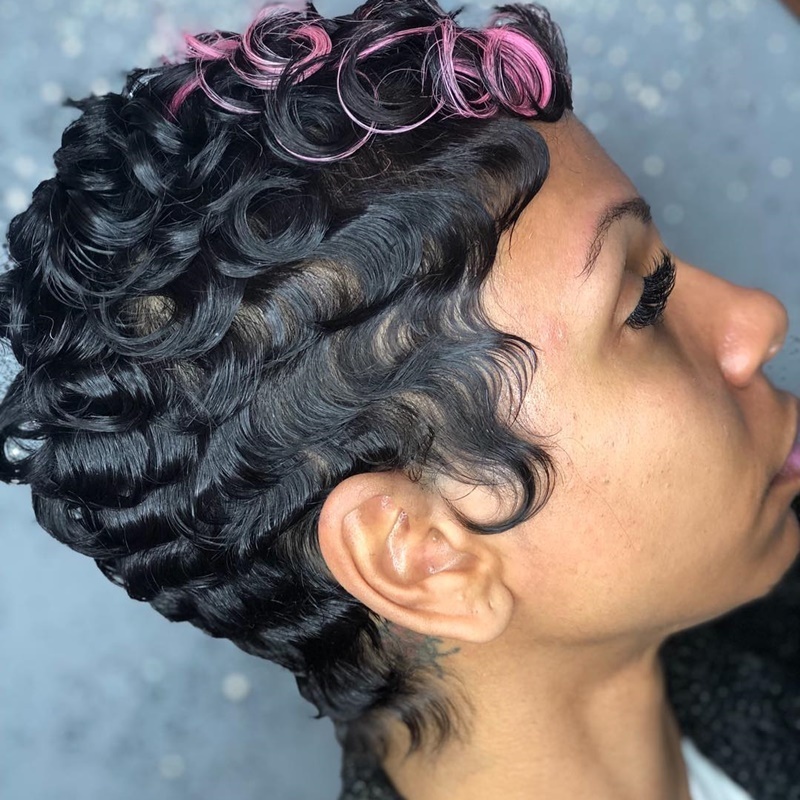 Even if your hair is short doesn’t mean you can’t add some fabulous curls like this one. 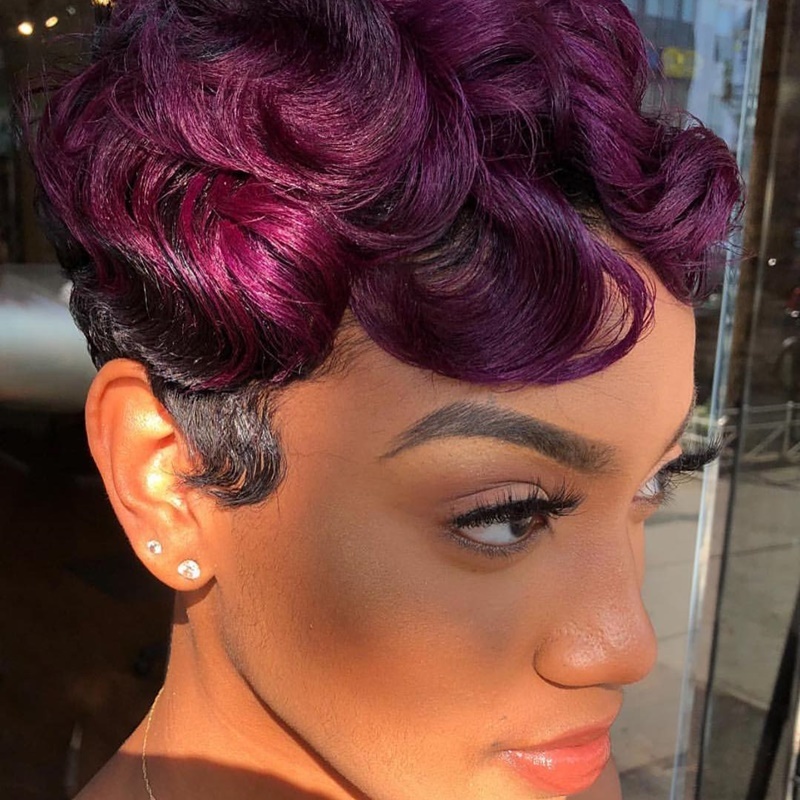 Short curls are amazing, now add even more bang for your buck with stunning color. 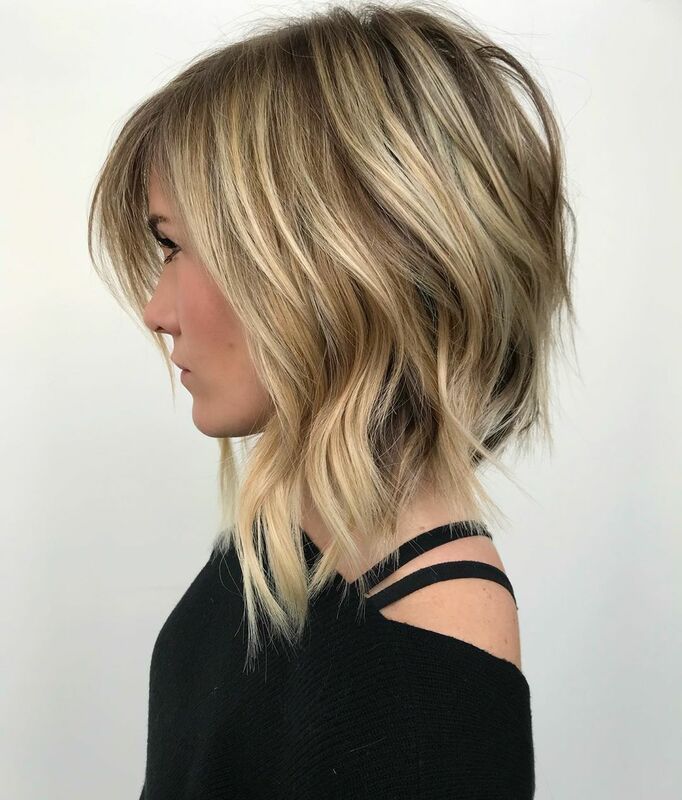 If you want some drama go for a super dramatic angled bob. 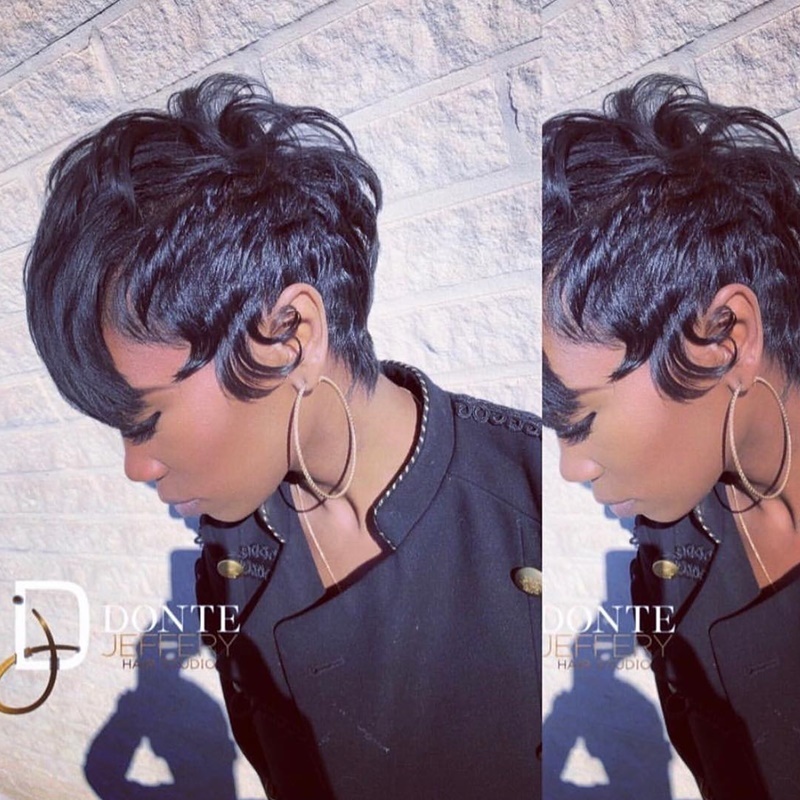 If you want something different but don’t know what, add some bangs to your short hairstyle. 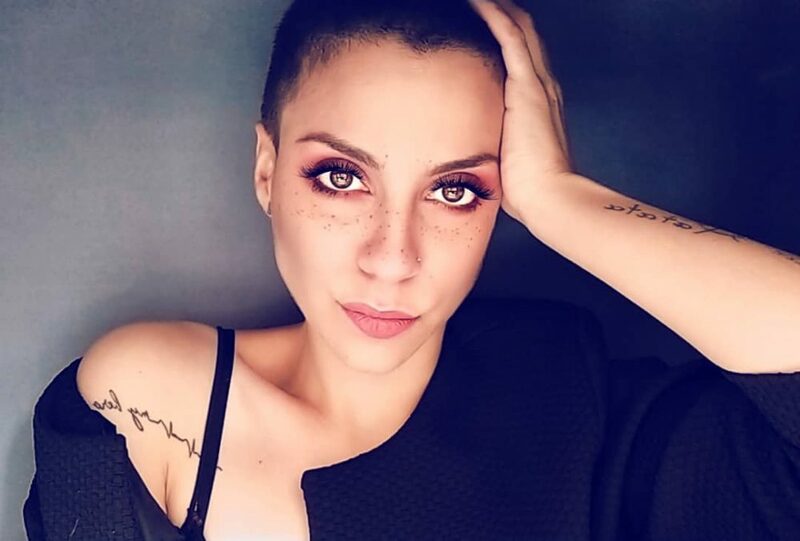 They’re cute and look great on everyone. 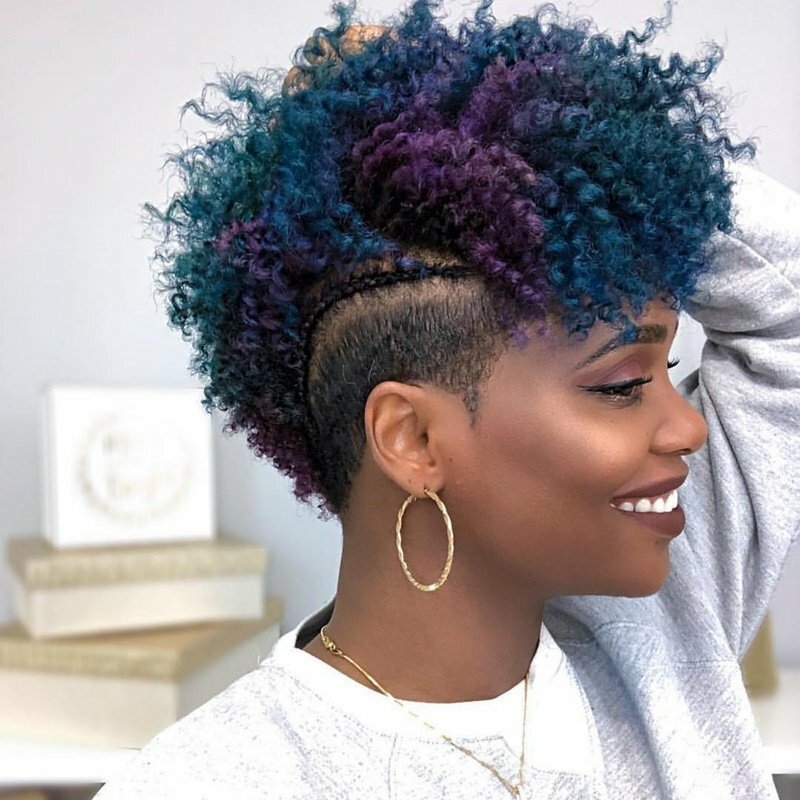 Your mohawk can be fun, colorful, and stylish. 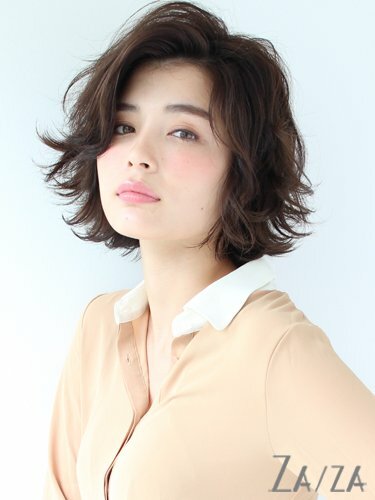 Just get some inspiration from this short haircut right here. 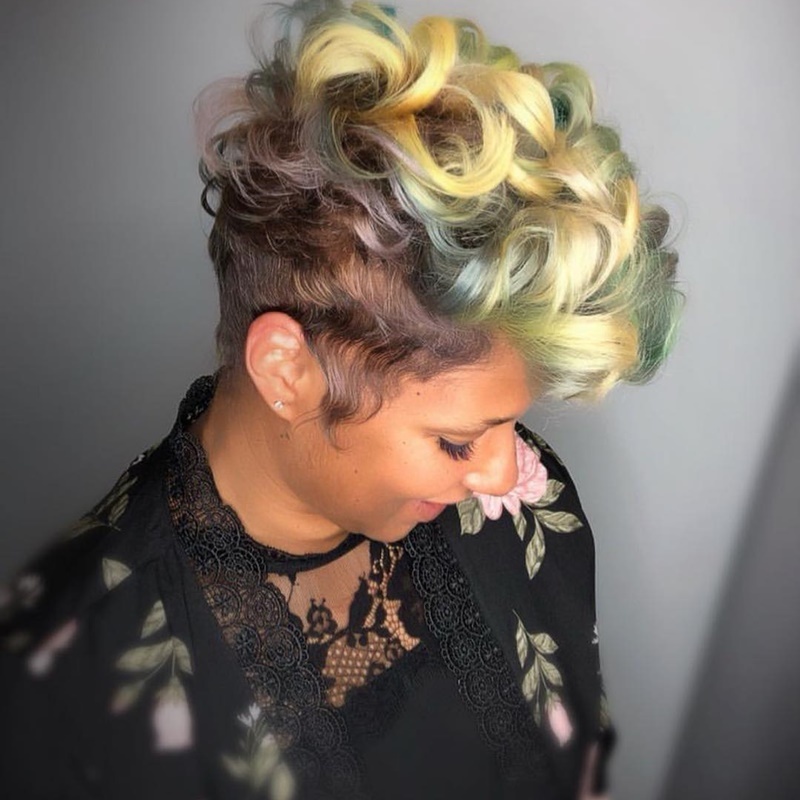 Give your natural curls some love, add a pop of color, and throw in a braid for a fun mohawk look. 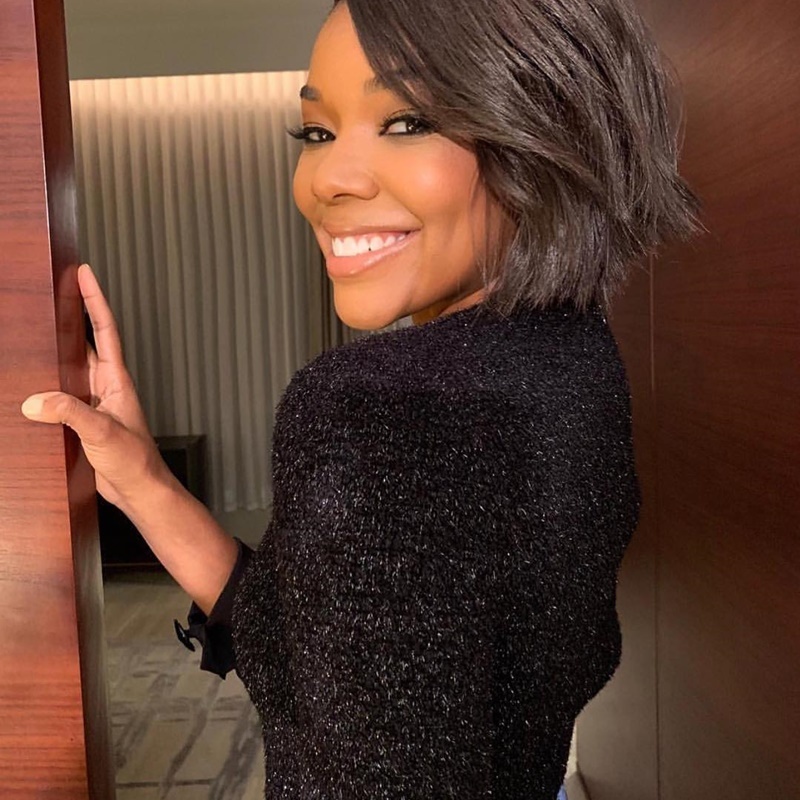 This natural angled bob is cute and stylish and looks amazing on anyone. 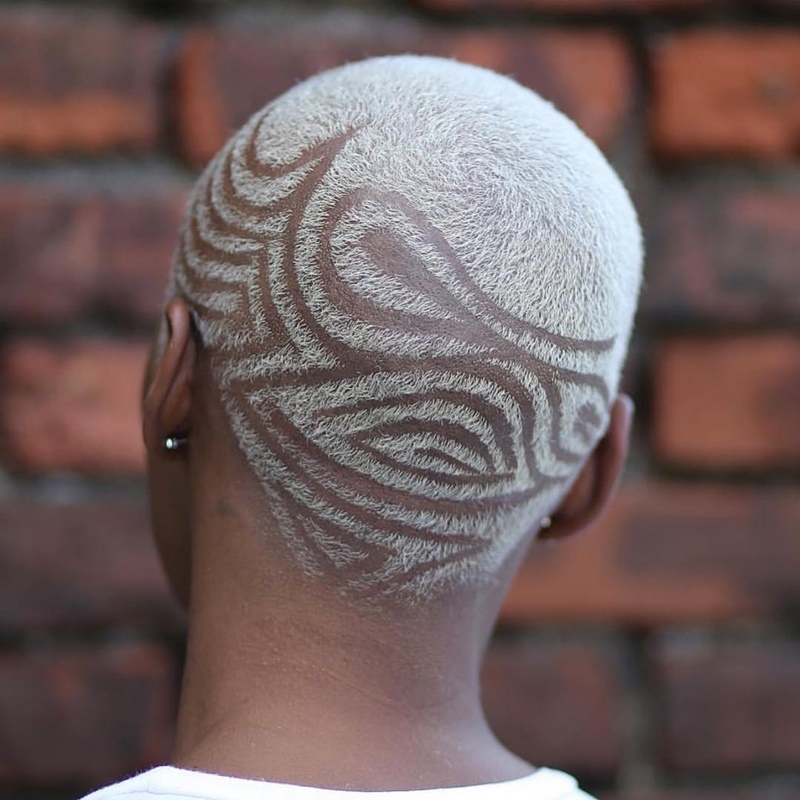 Go back to your roots with this shaved look and add a fun design because you can. 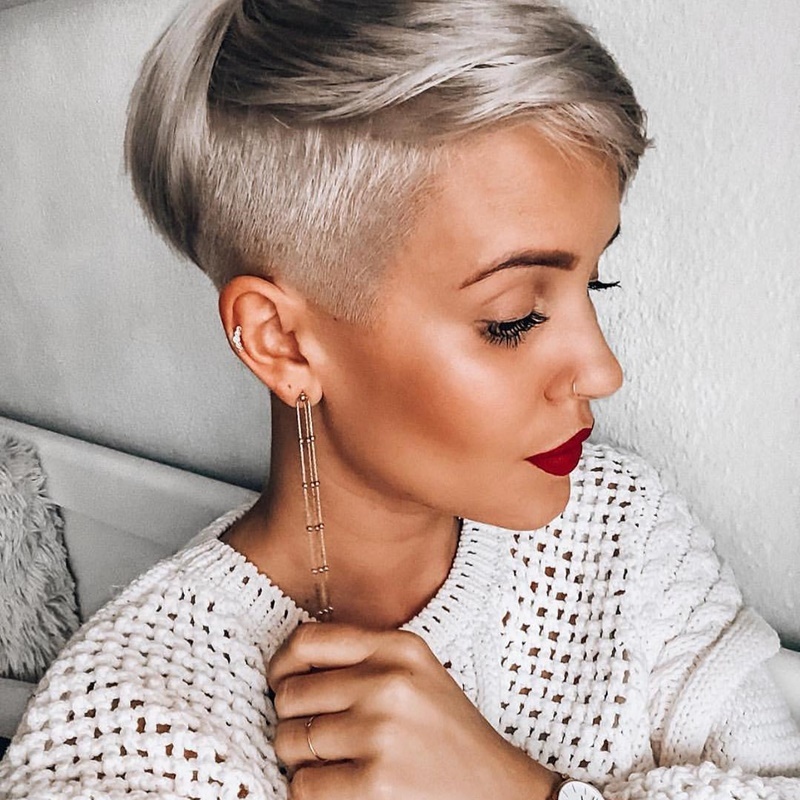 Your possibilities will be endless when your hair begins to grow out. 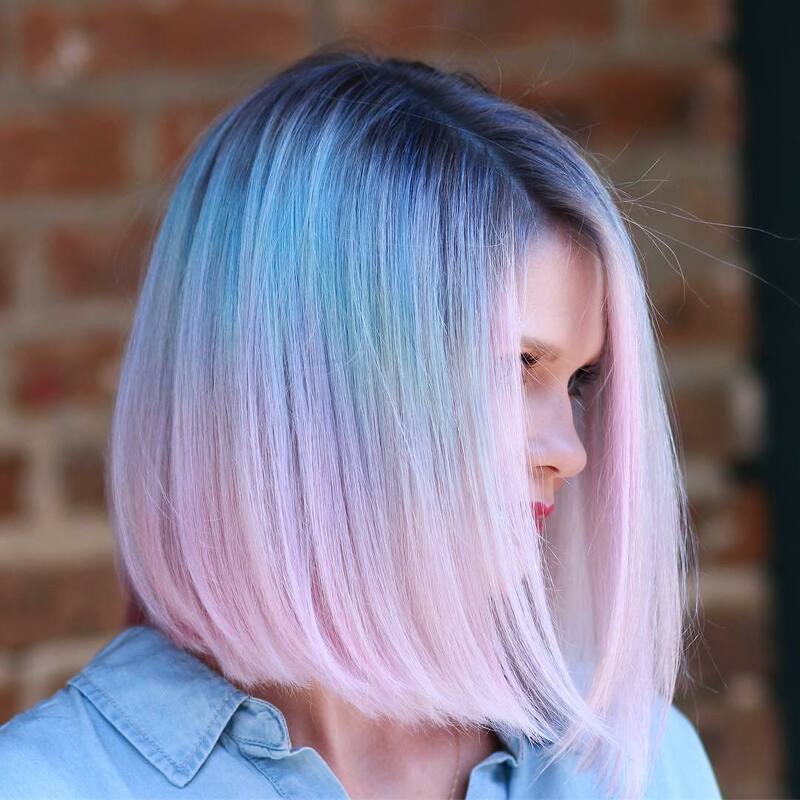 Throw a fun color on your hair and let it do its thing. 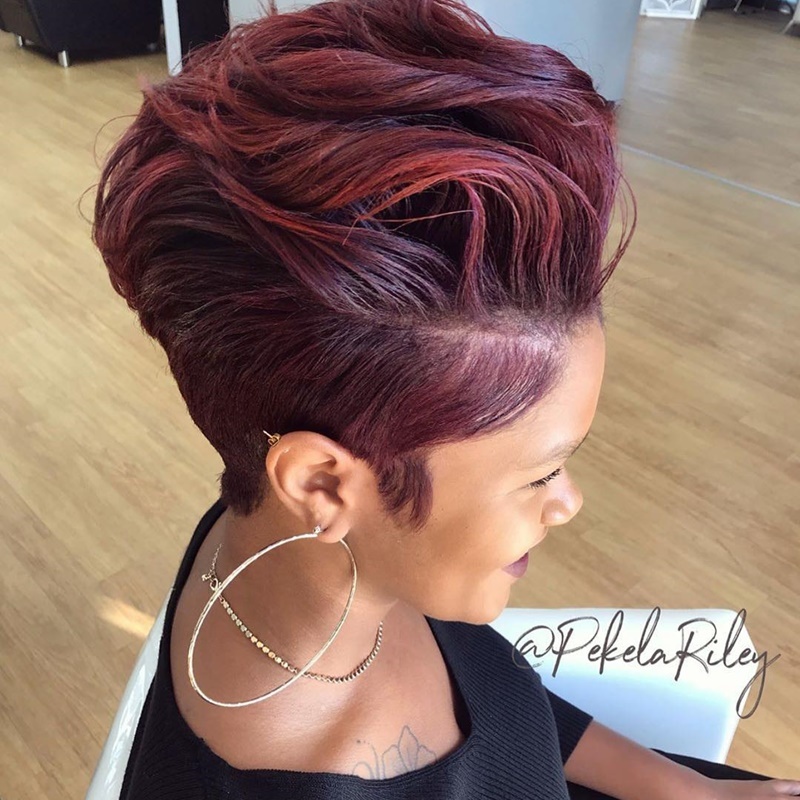 This textured pixie plus amazing color will look fabulous on anyone. 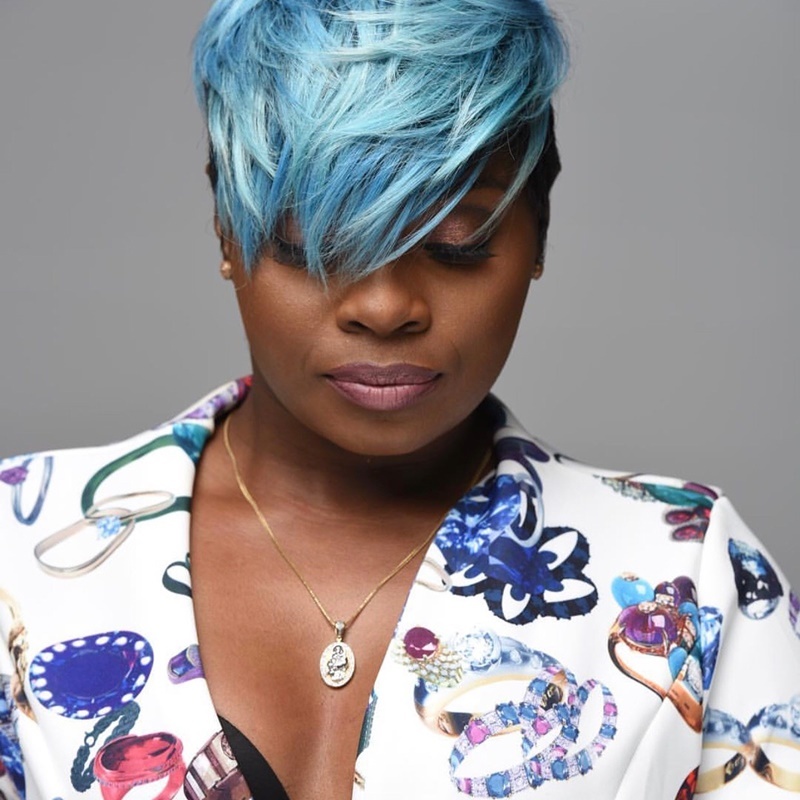 If you’re looking for a little drama then add a pop of blue, you won’t regret it. 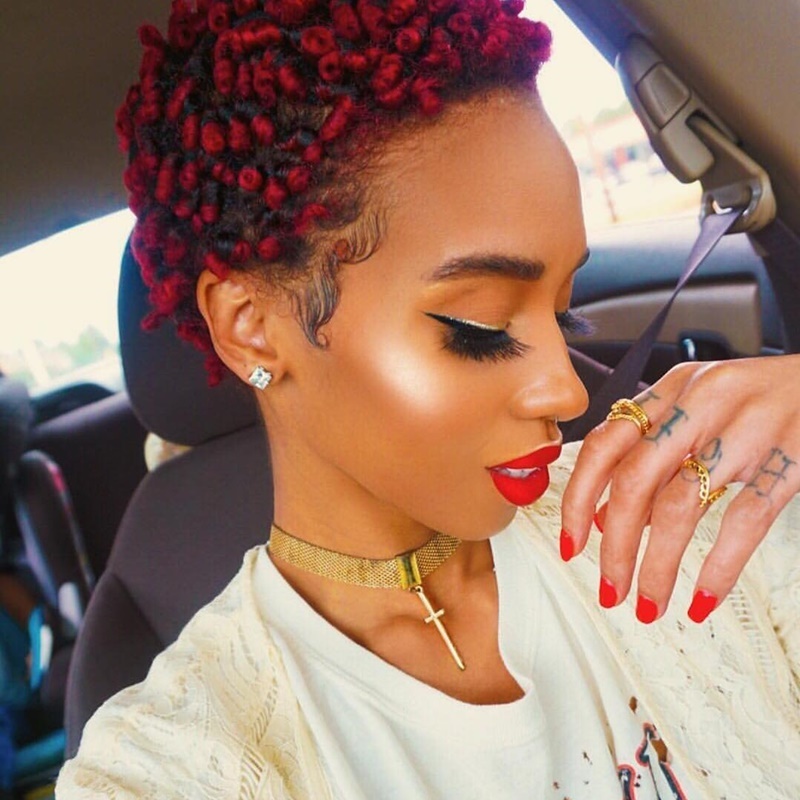 Natural hair is the best, add a pop of color and a little curl and you’re set to go. 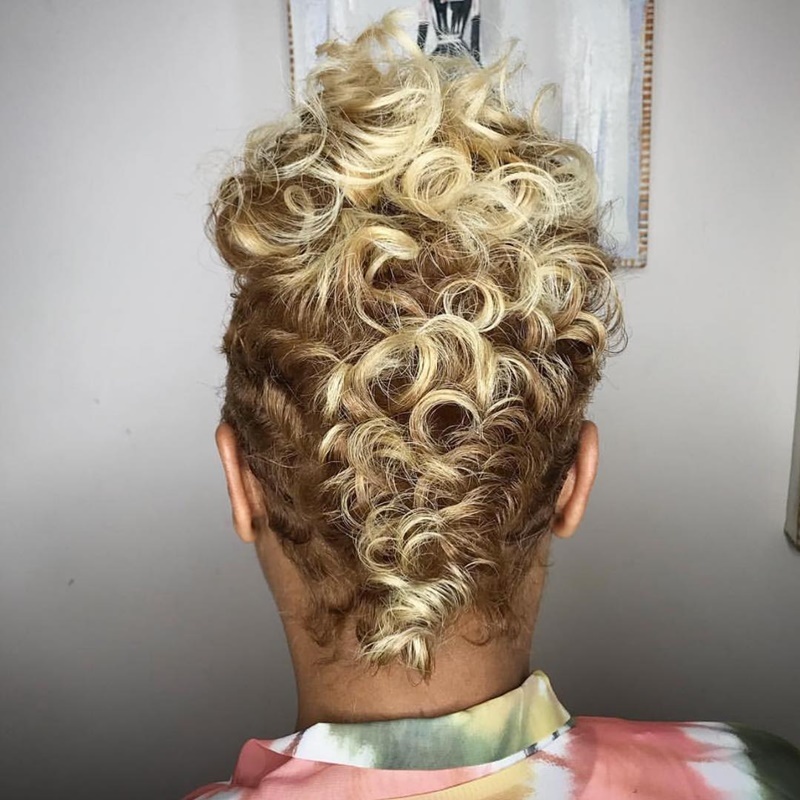 Did anyone ask for a stunning curly blonde mohawk? 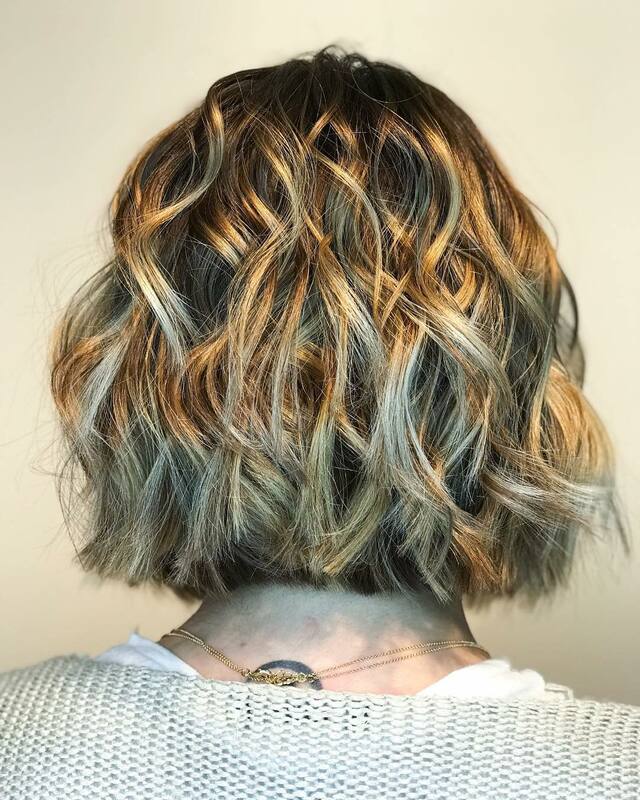 Get your volume, color, and style all if one amazing look! 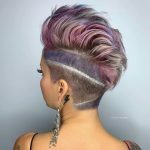 Just because your hair is shaved doesn’t mean you can’t have some fun with color. 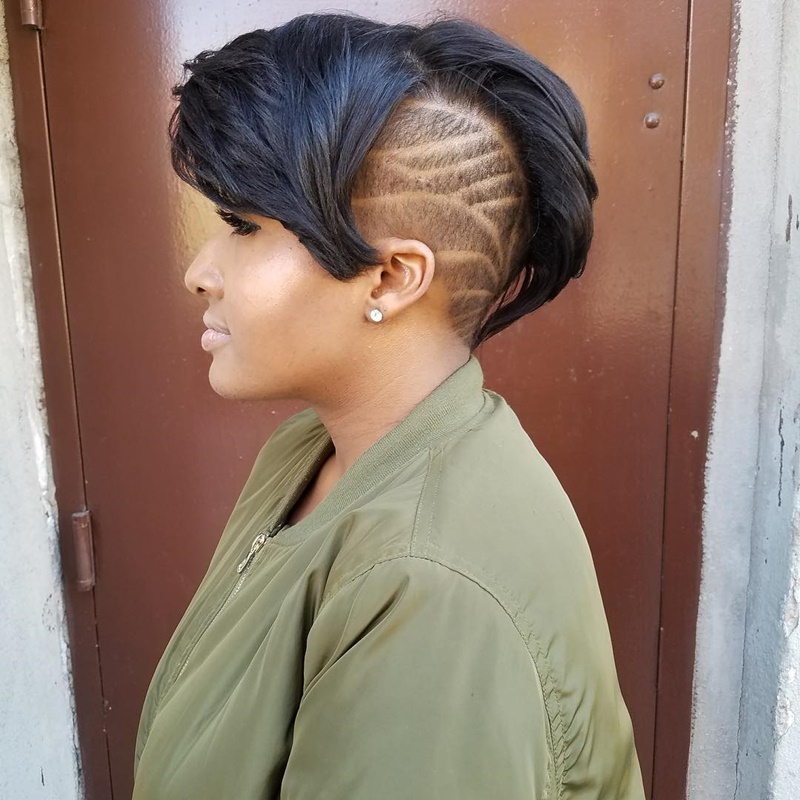 Don’t forget a cool shaved design too. 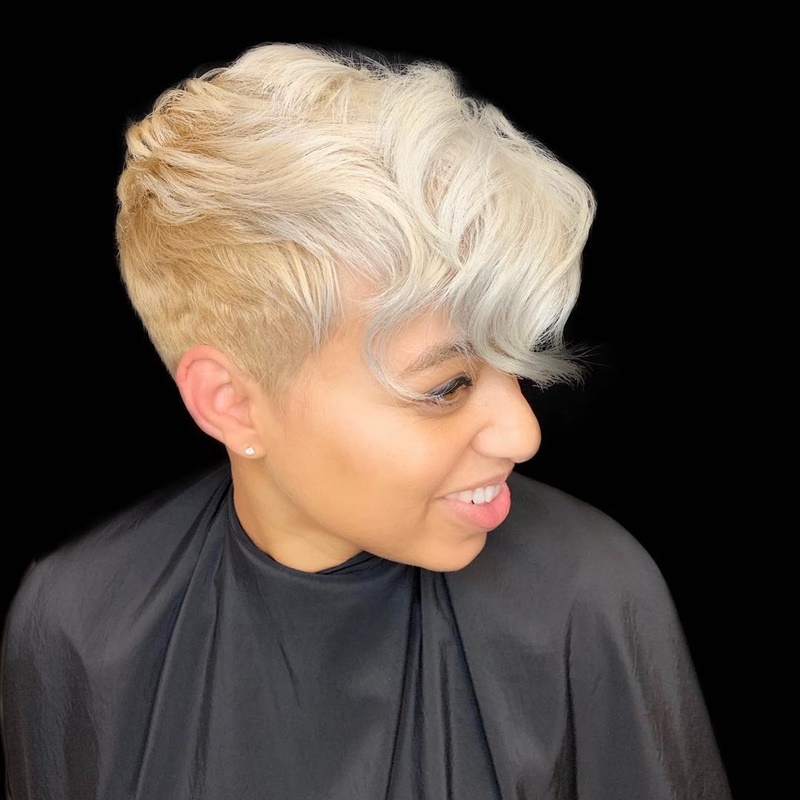 Embrace the winter with this amazing cut, color, and style. 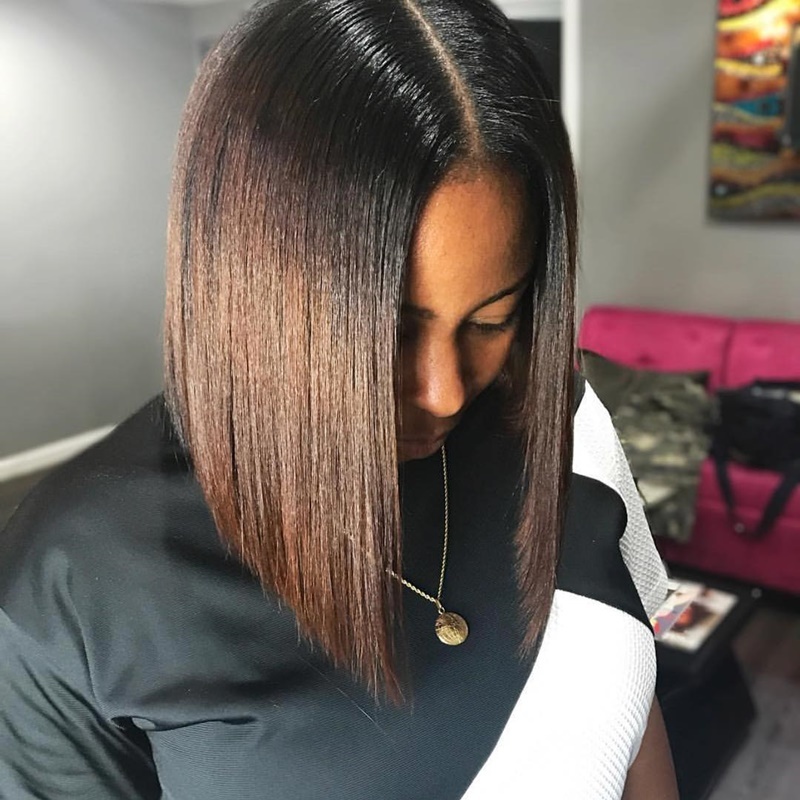 Lobs are always in style and you can have one too. 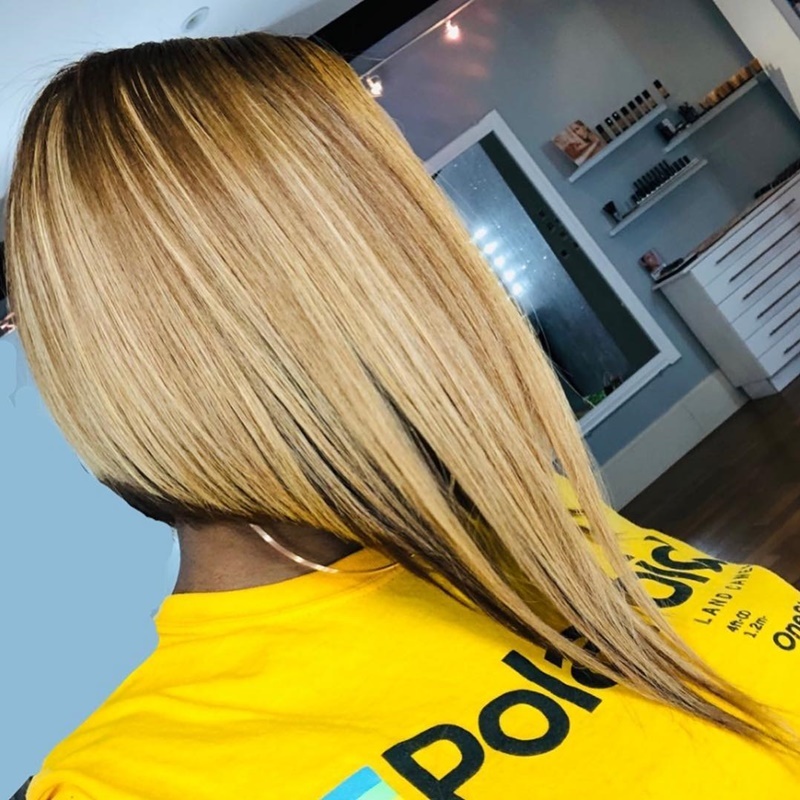 Add a new fresh color to the mix to really turn heads. 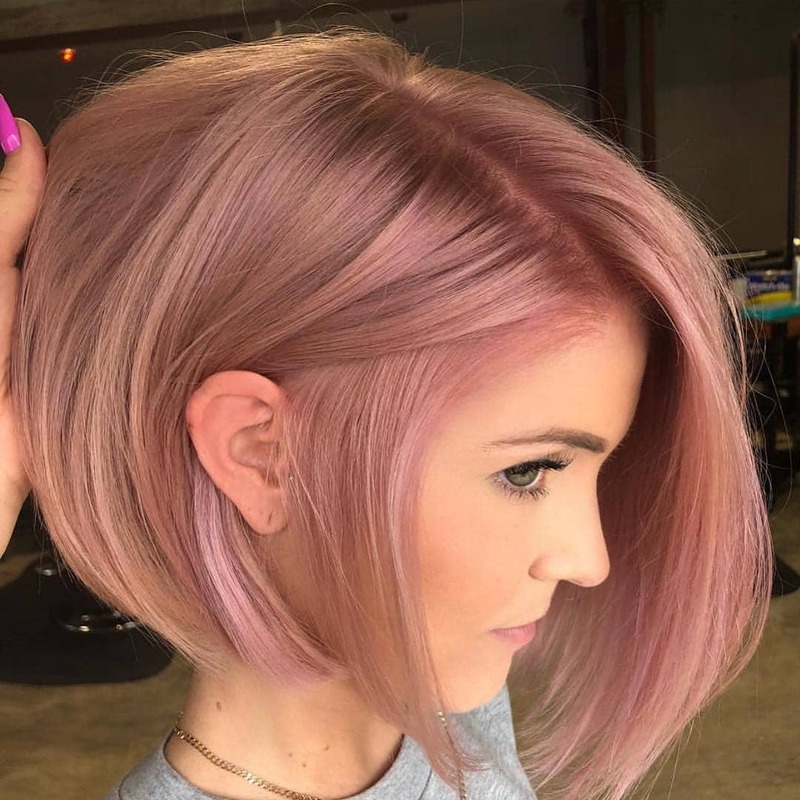 Add some purple color to your beautiful pixie to take it up a notch. 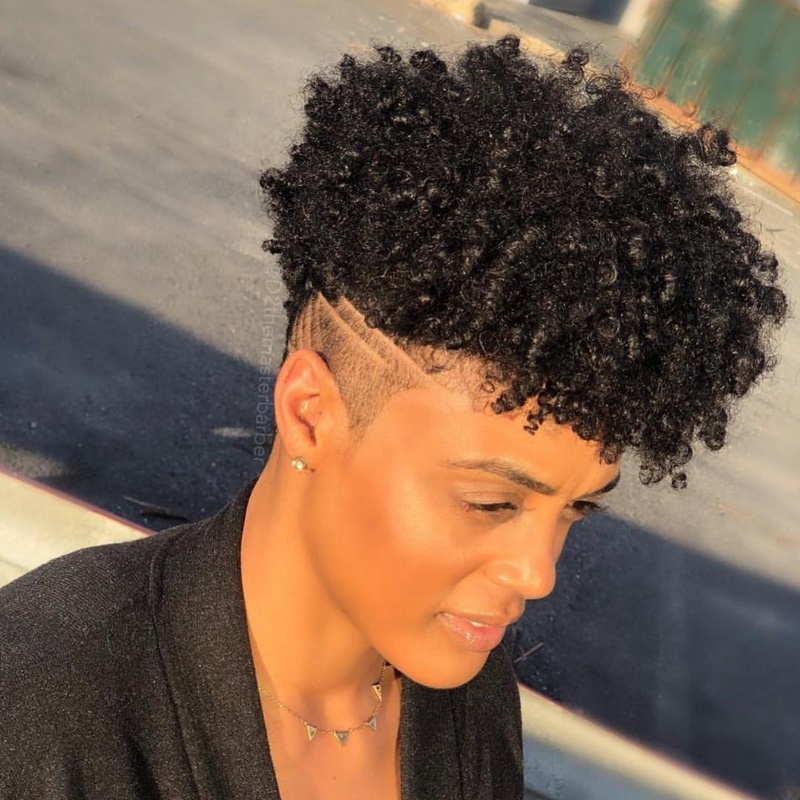 Add some volume on top with your natural curls and do a cool undercut to add a little more drama. 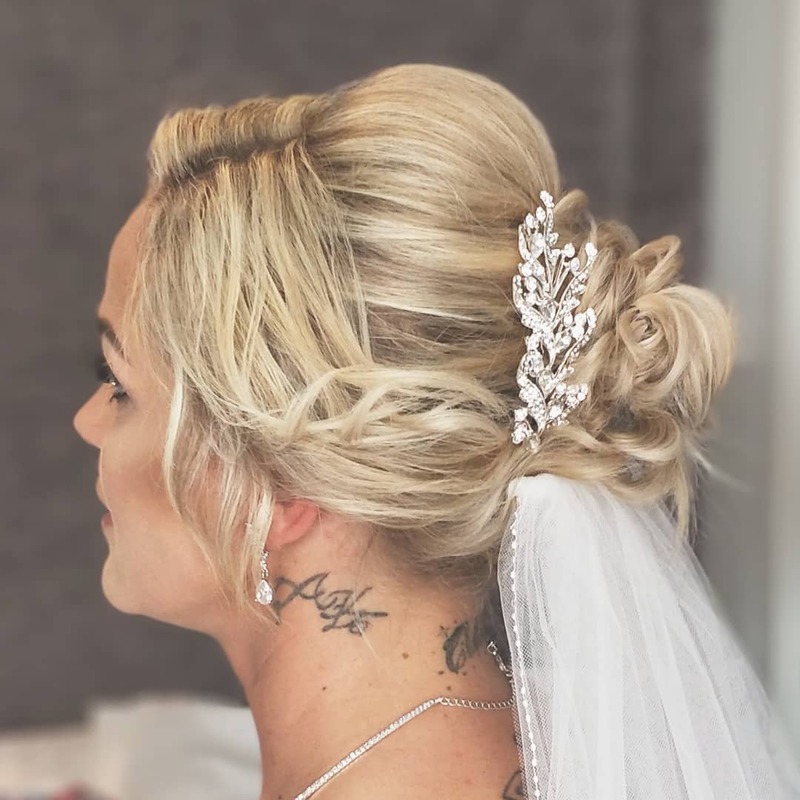 You don’t need all the color and cuts to have an amazing style. 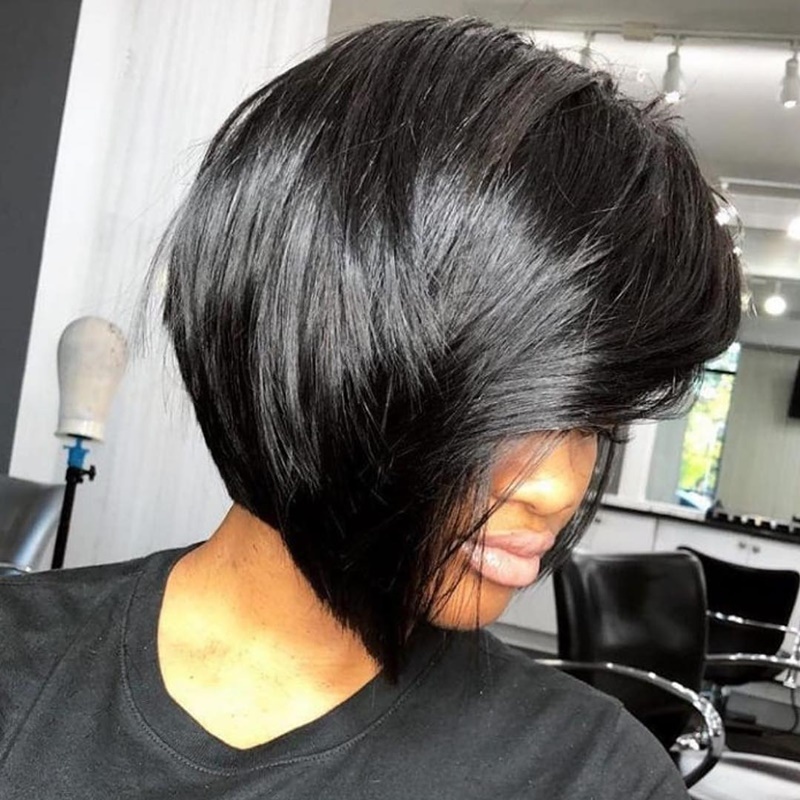 Go with a simple bob like this one and look stunning. 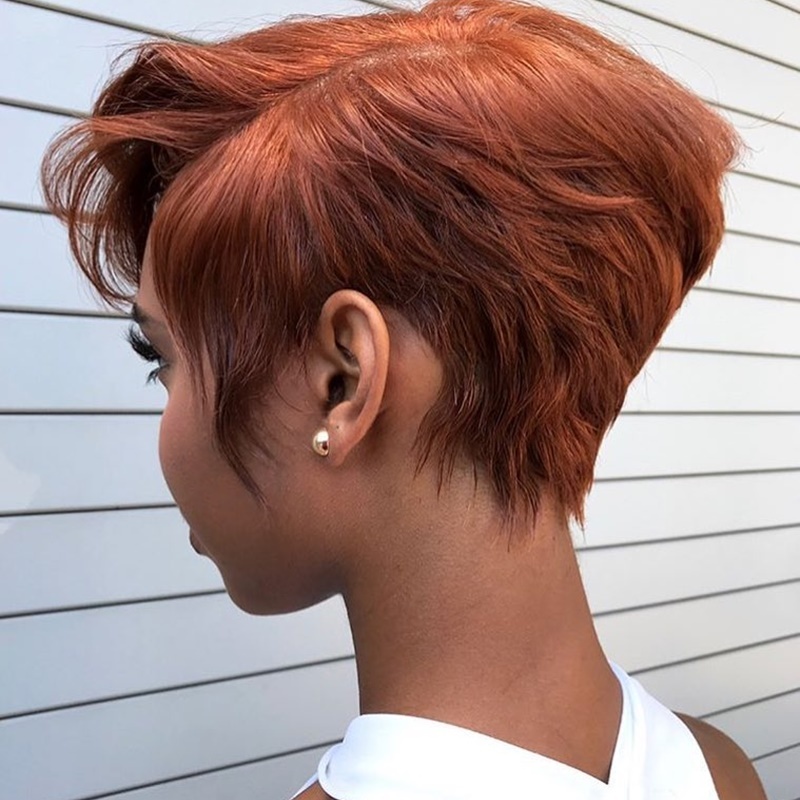 With a deep side part, fun pop of color, and some curls, a longer pixie is just the style you need. 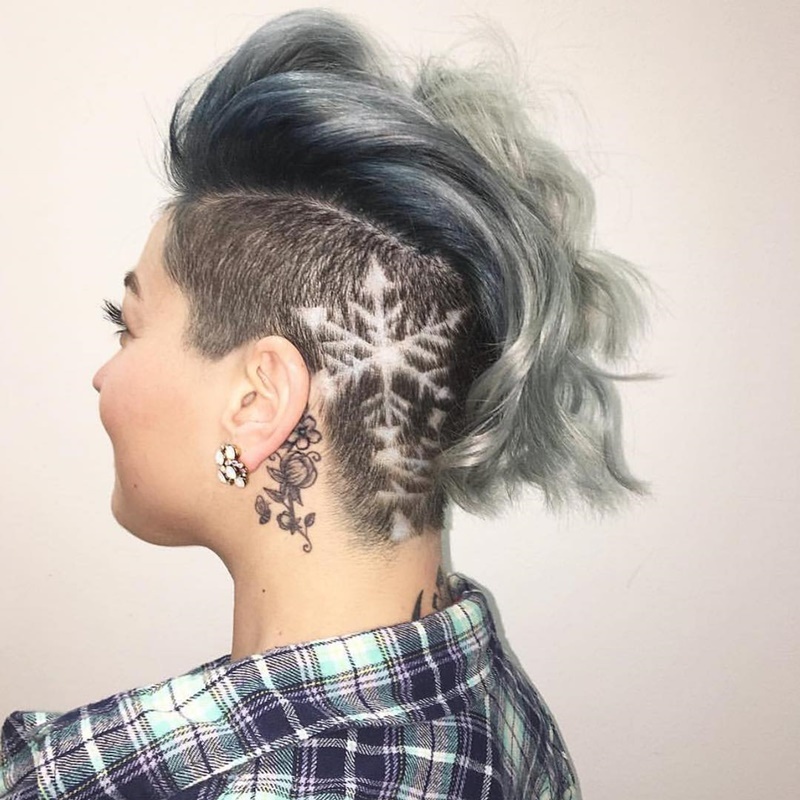 Add some fun layers throughout your hair with some cool shaved patches. 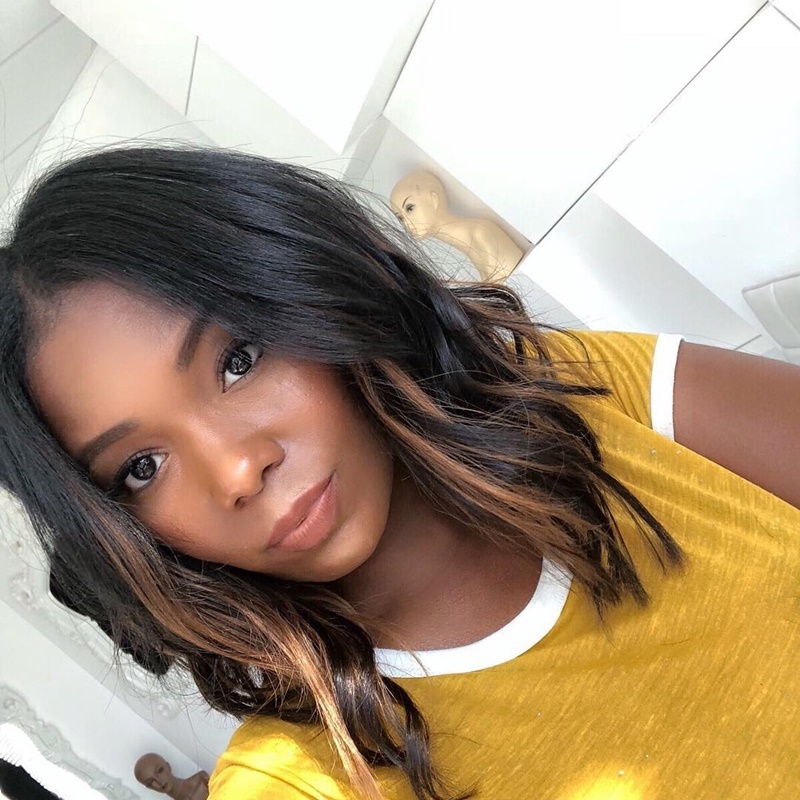 Add a nice balayage color to your lob to take it up a notch. 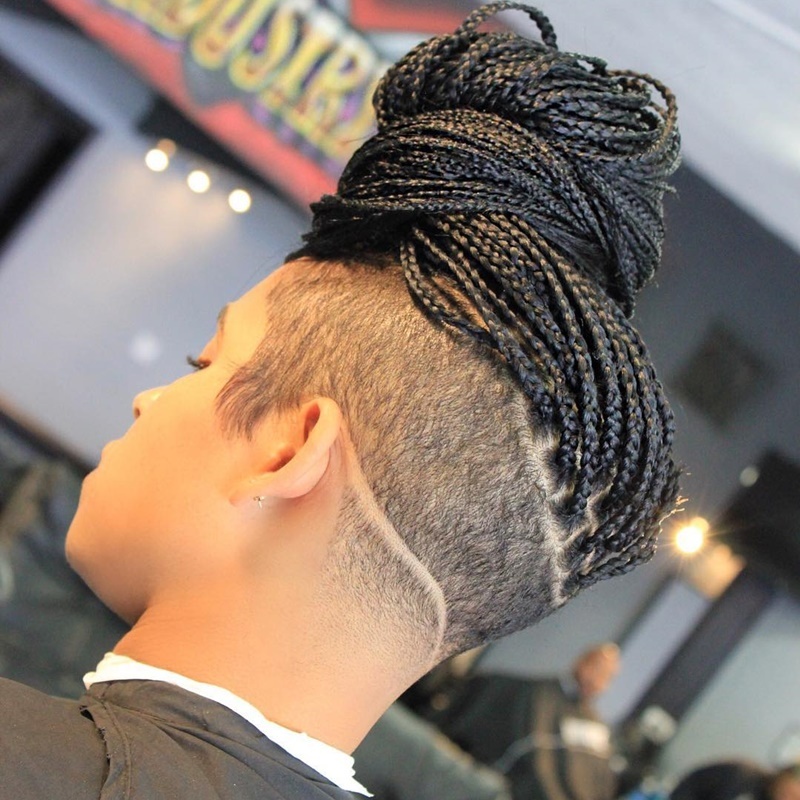 Braids are amazing but add this beautifully shaved short haircut and embrace your new look. 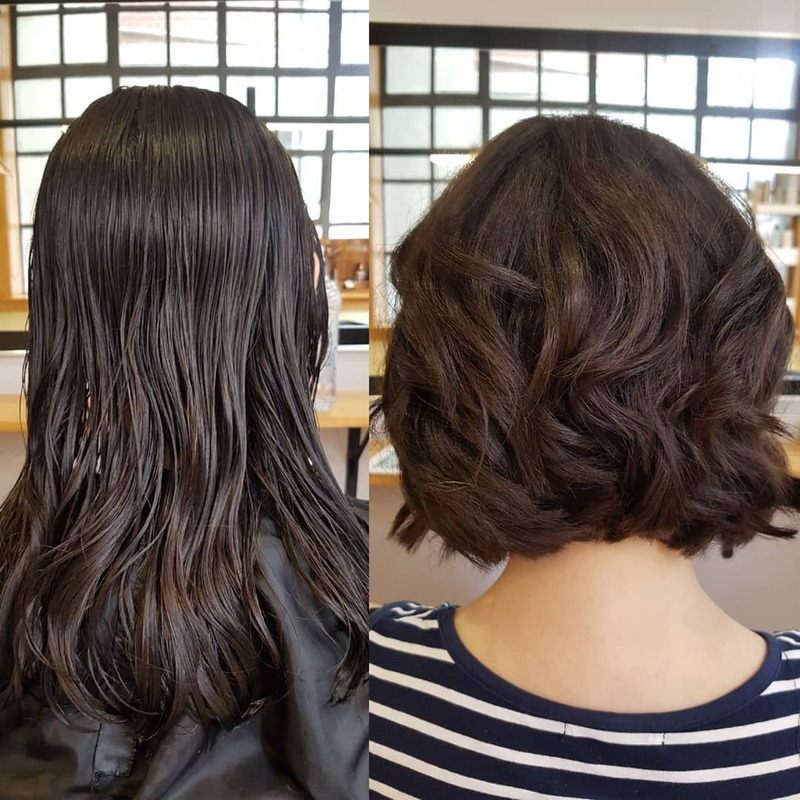 With a little curl, some styling cream, and a nice part you can easily obtain a glam bob. 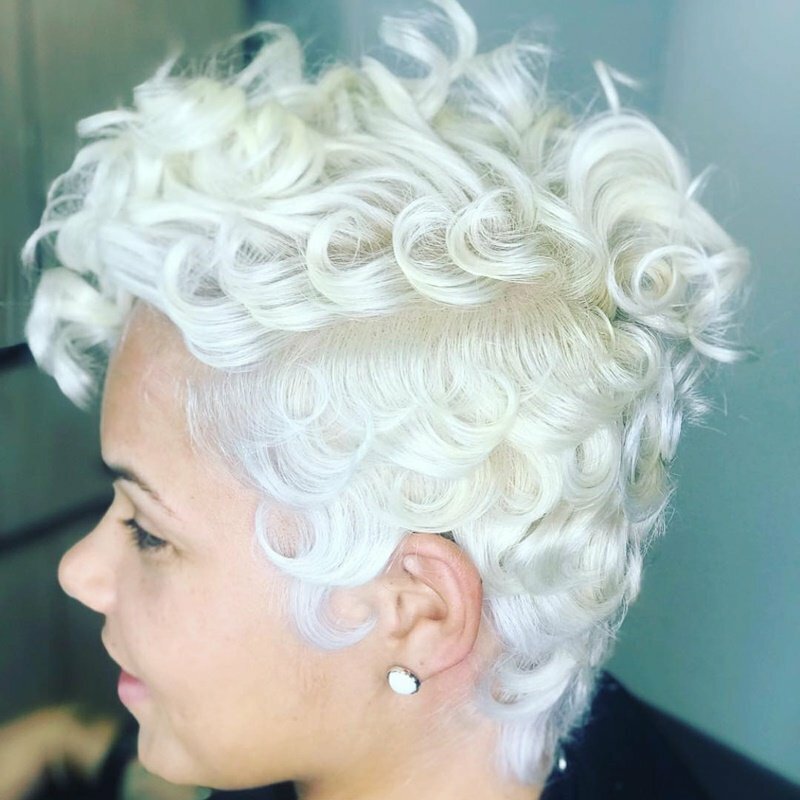 Platinum is a great way to make your curls stand out. 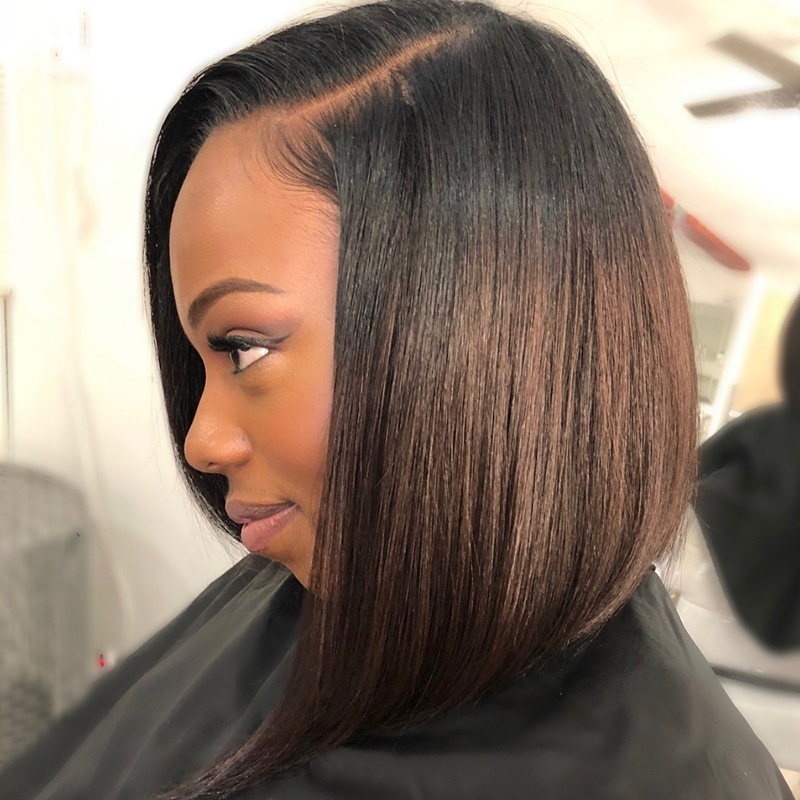 This lob is shiny, gorgeous, and looks great in the middle part. 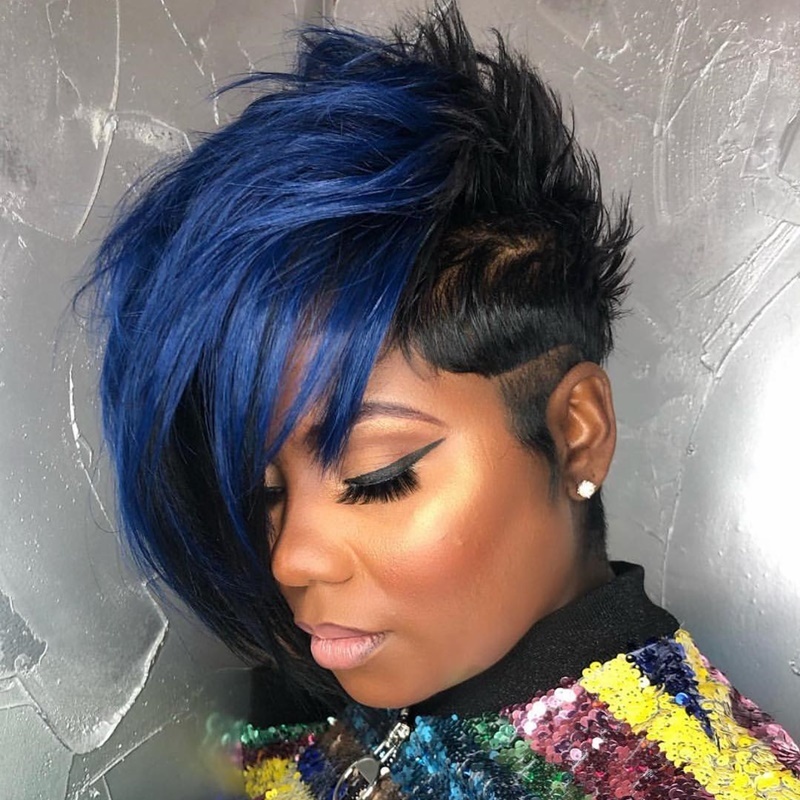 Long side swept bangs look amazing and add a pop of blue makes them stand out even more. 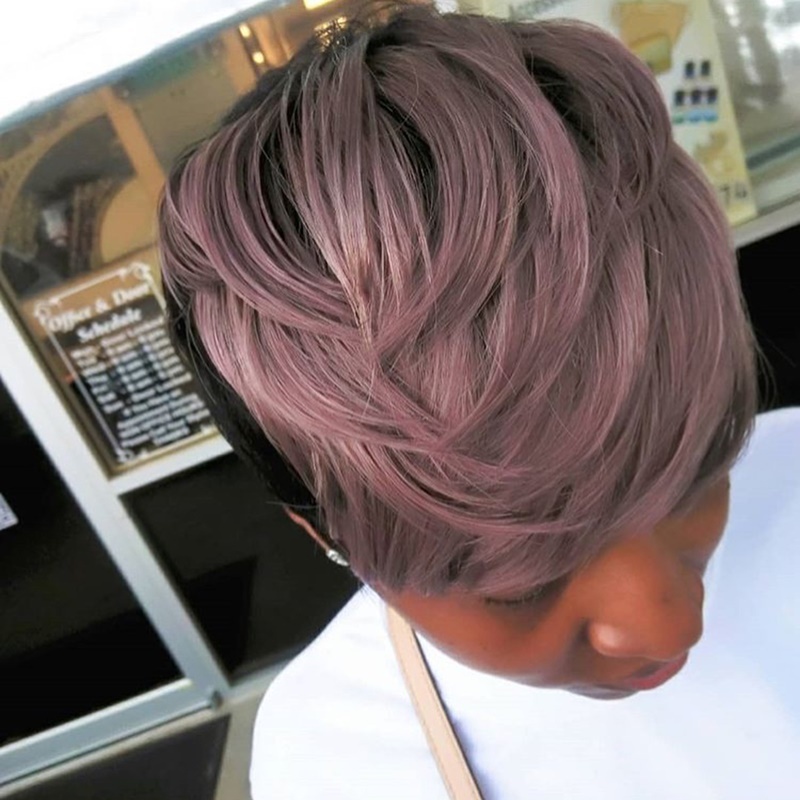 Add a few layers to your short haircut and if you want a new color, try out this gorgeous mauve. 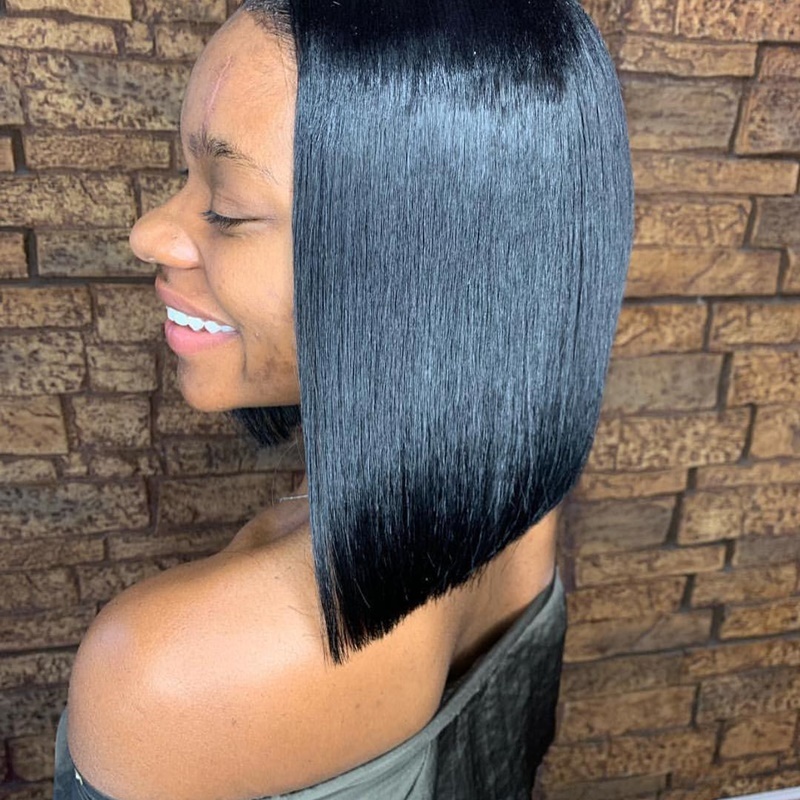 Be the talk of all your friends with this gorgeous bob cut. 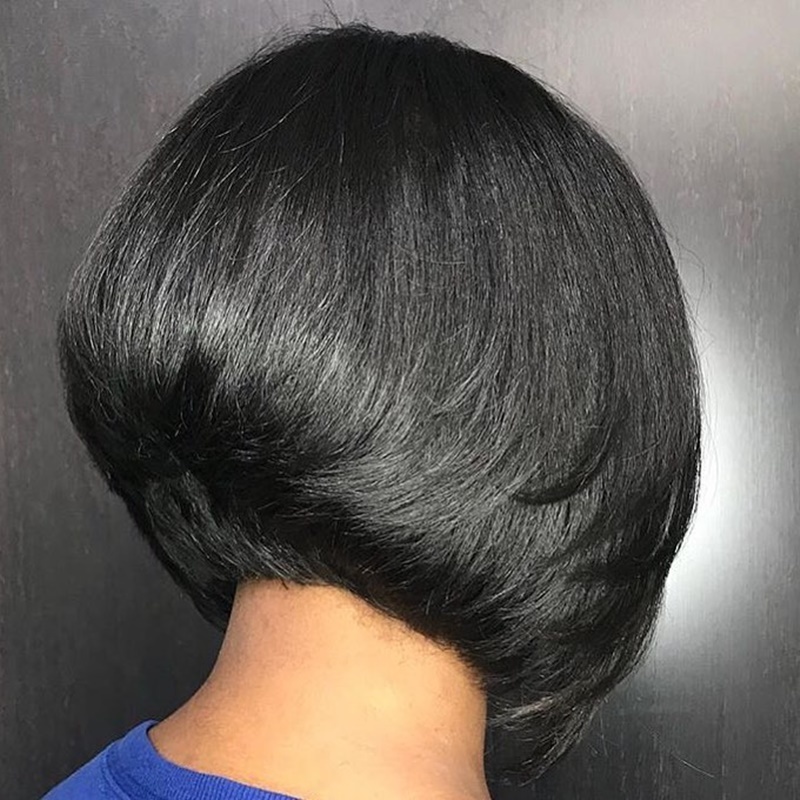 Go with a simple style like this layered, round bob. 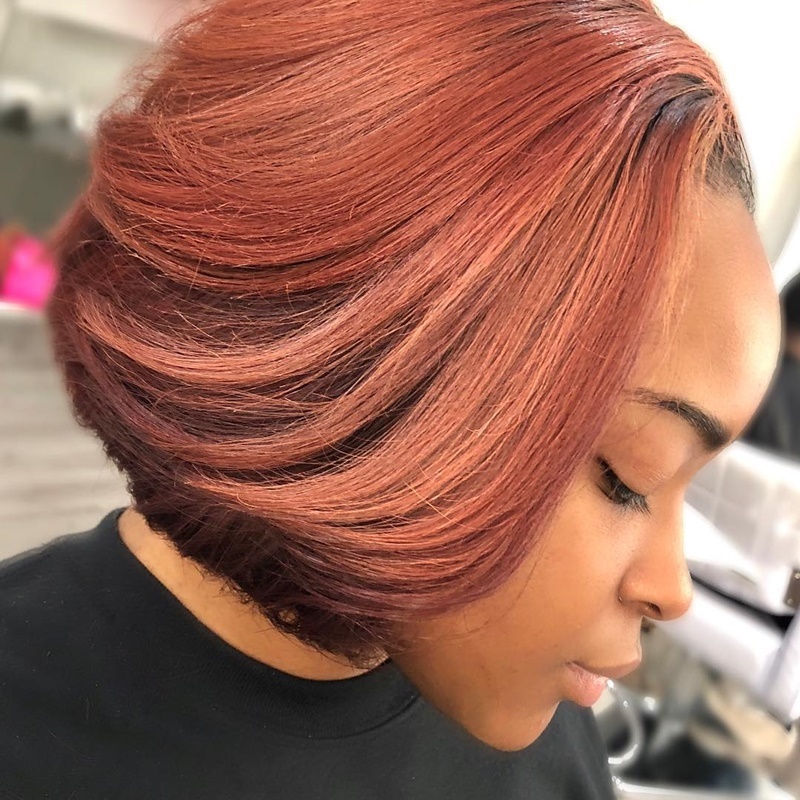 Add some flair to your bob by curling your ends upward for a fun new style. 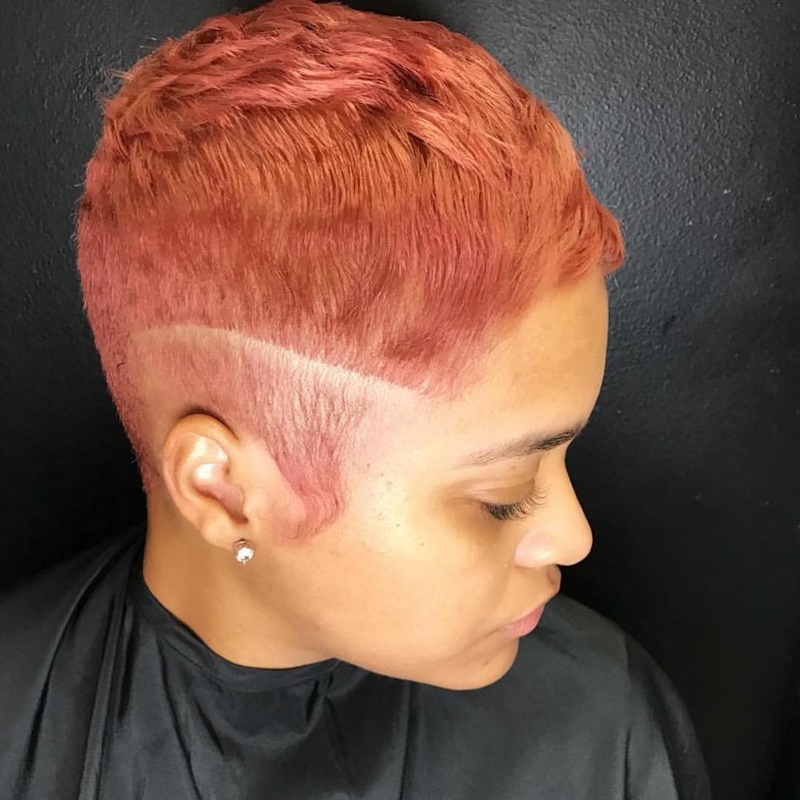 Rose gold is a hot color and looks stunning, try it out for yourself. 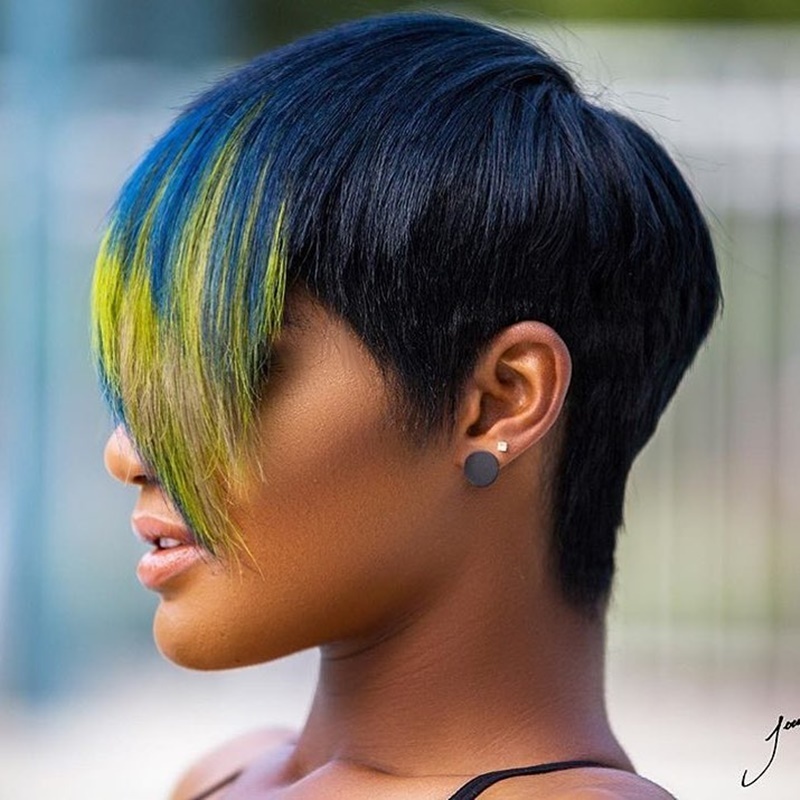 Give your pixie some love with this fun fashion color bangs that add a little drama to your style. 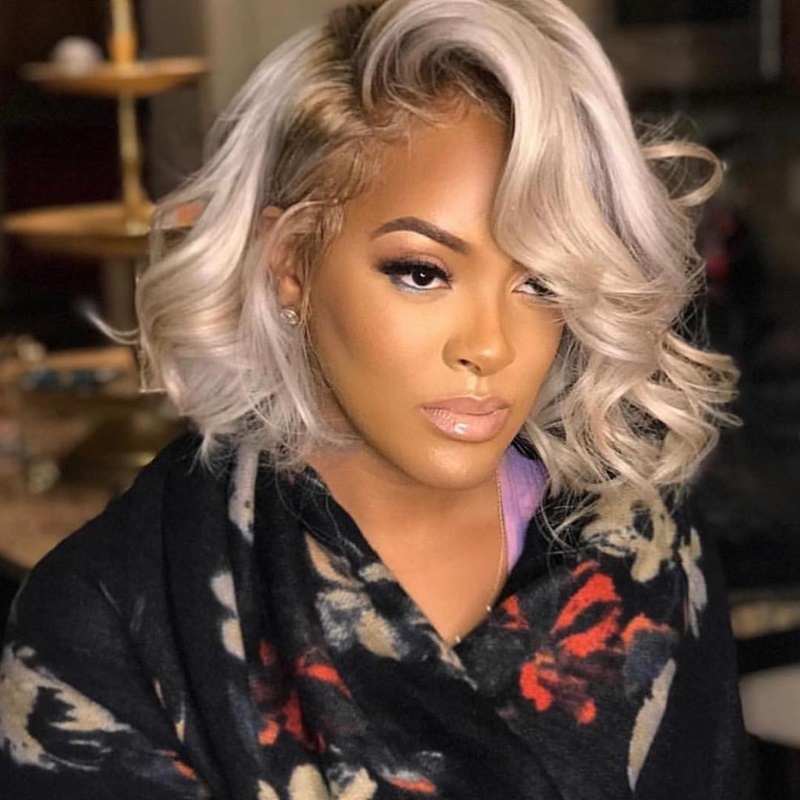 Picking a new short hairstyle can be difficult nit hopefully you found some good inspiration for these 45 gorgeous looks.